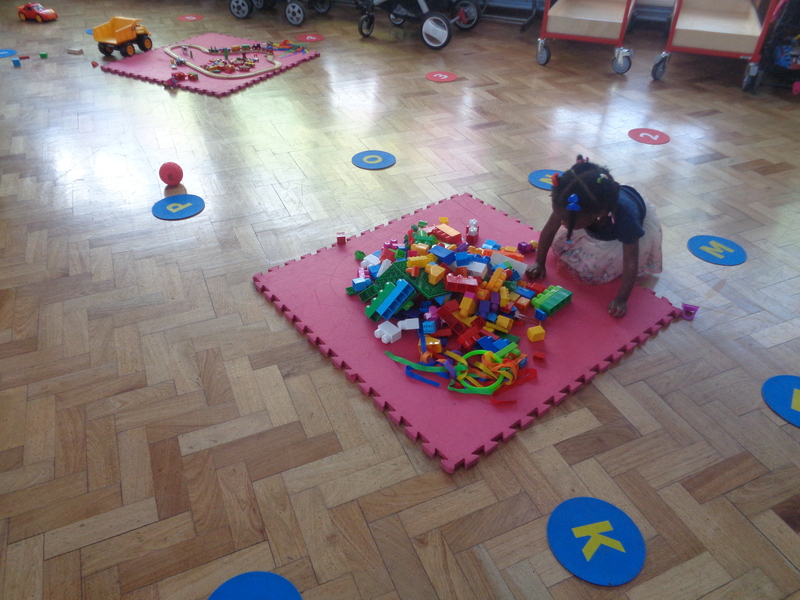 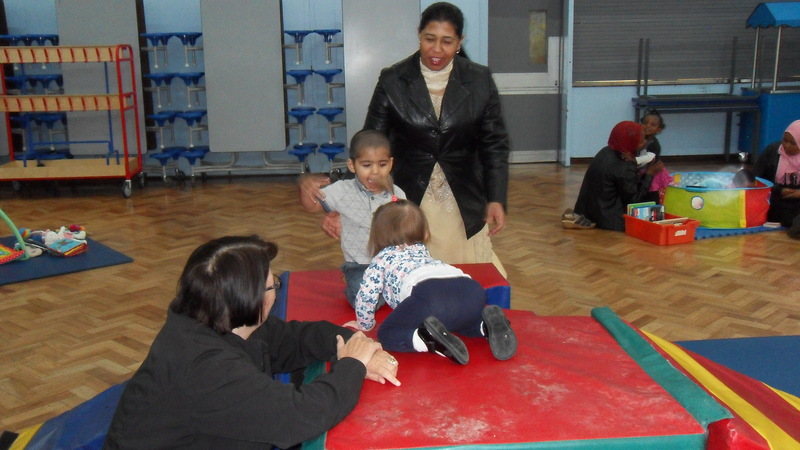 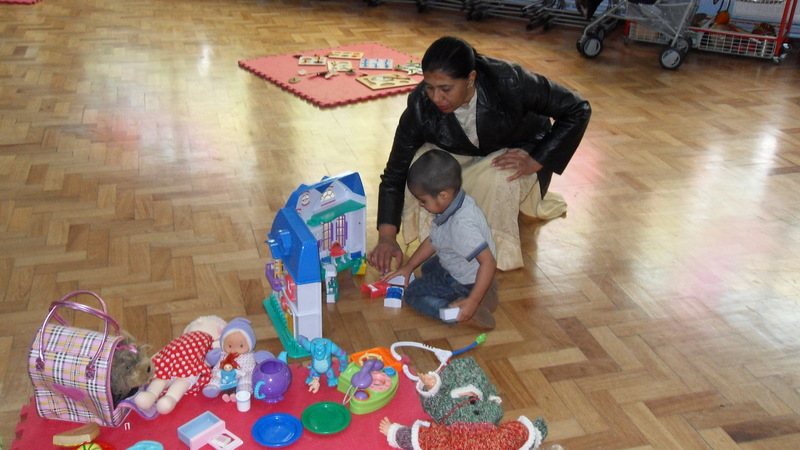 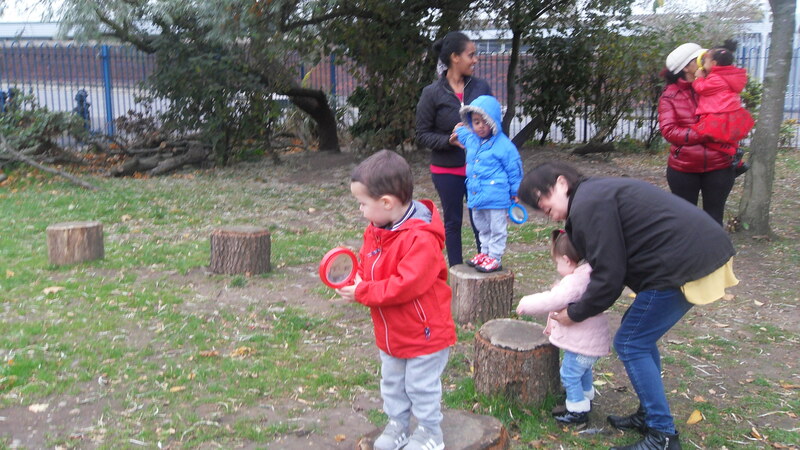 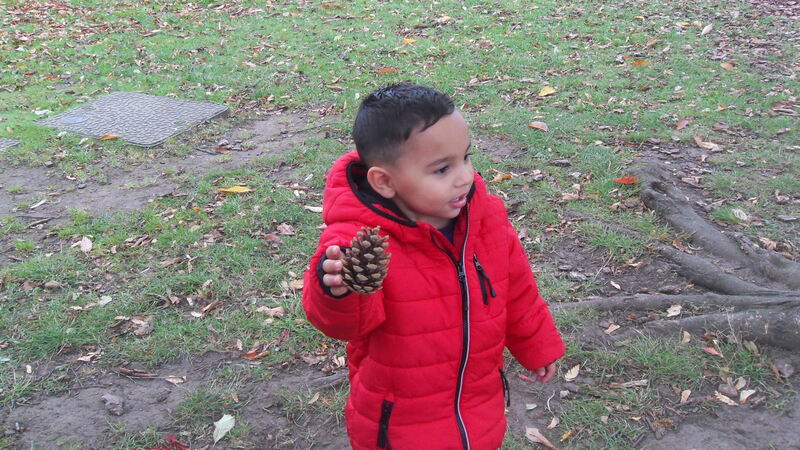 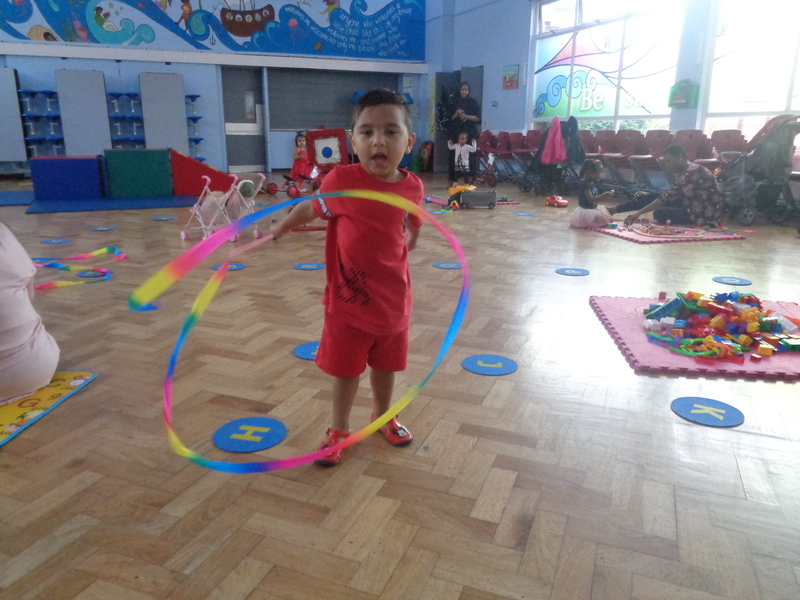 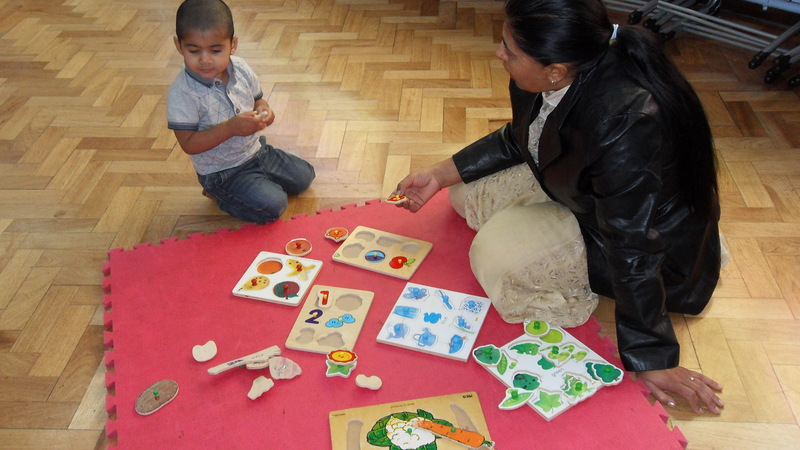 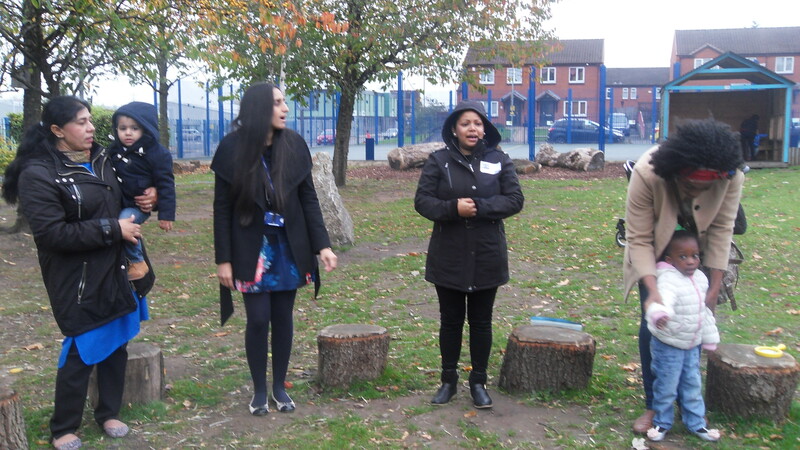 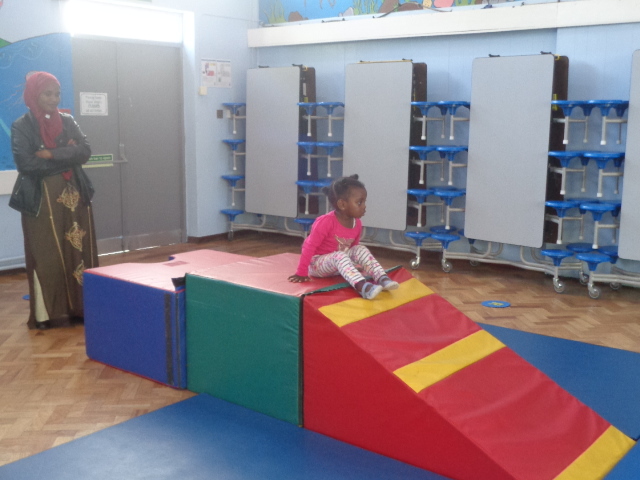 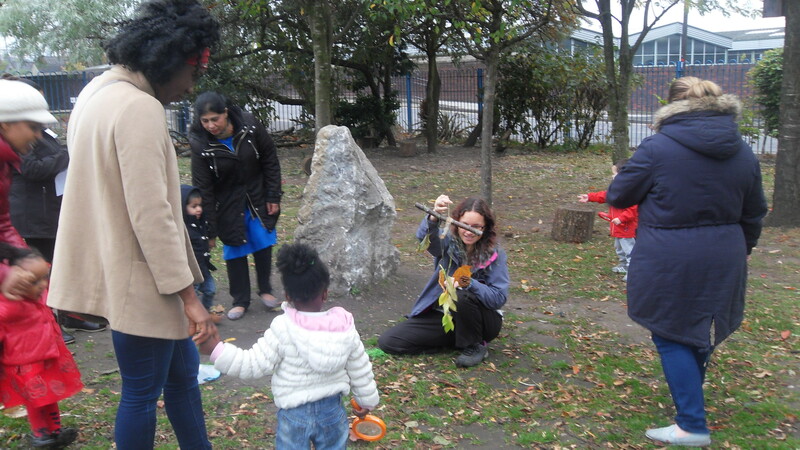 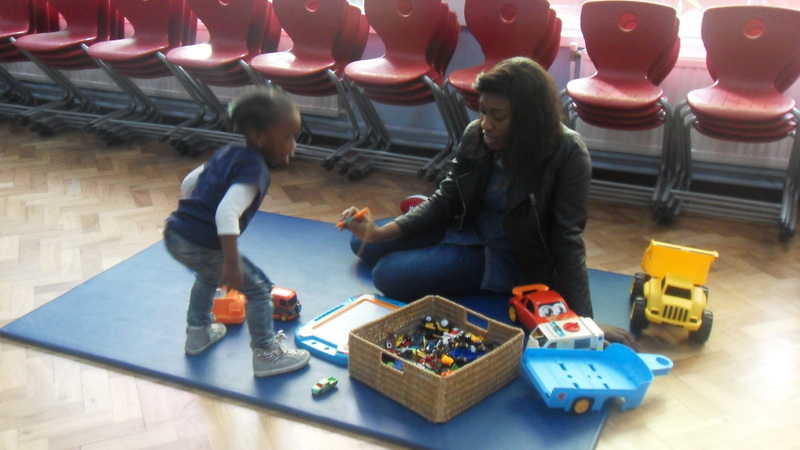 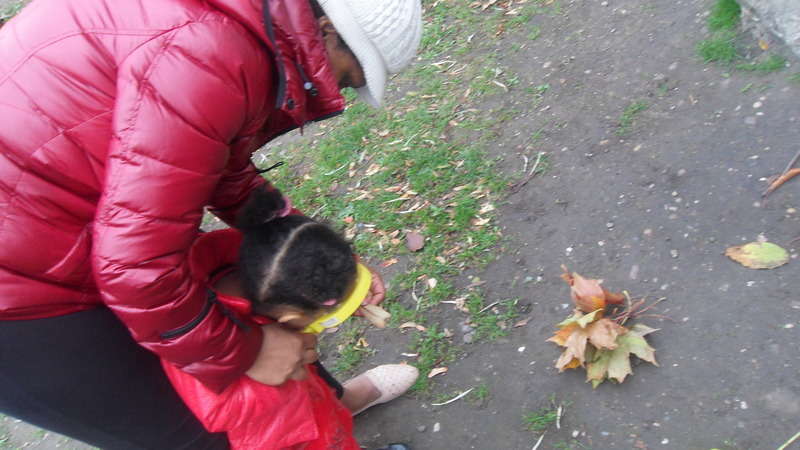 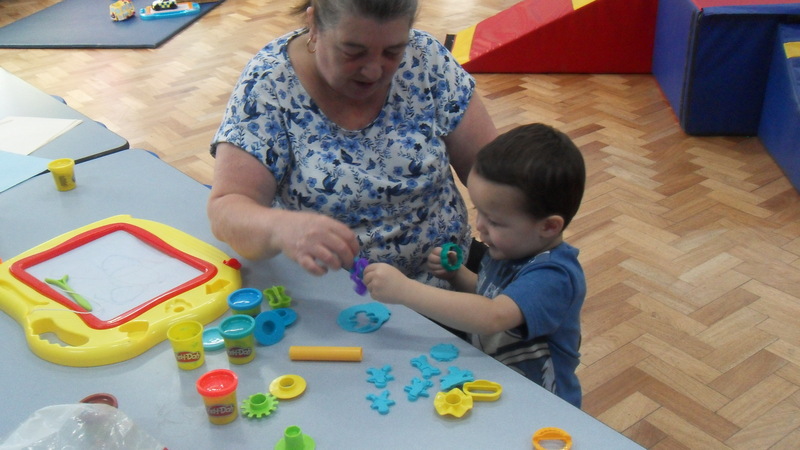 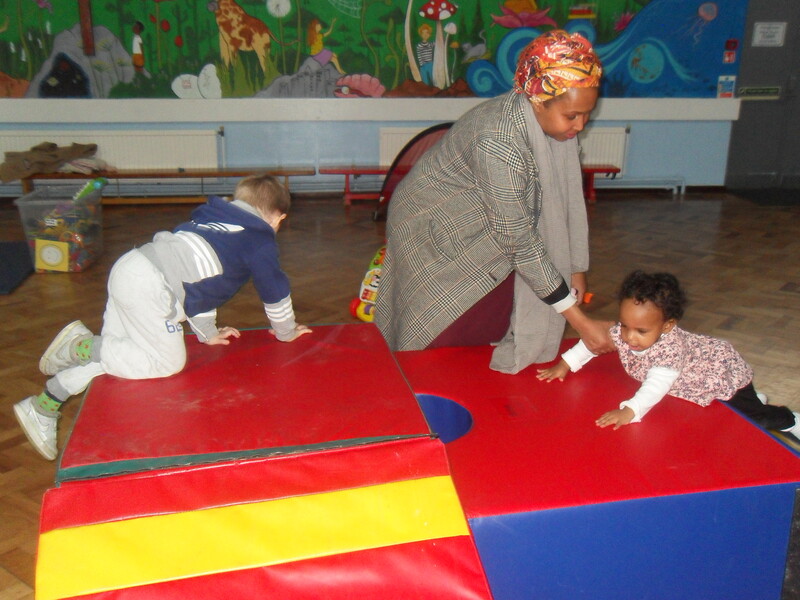 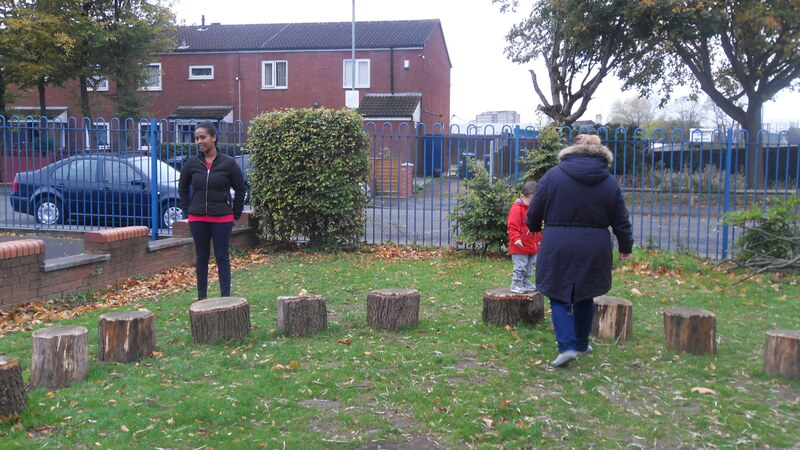 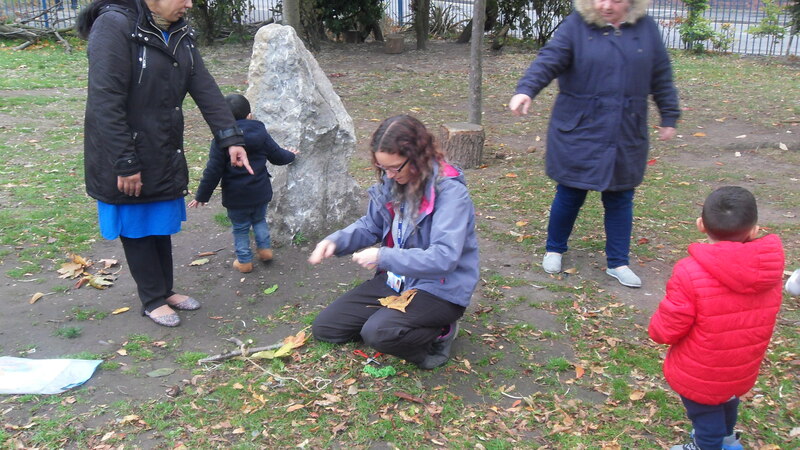 This week at St. Clement’s Stay and Play the children enjoyed a range of play activities. 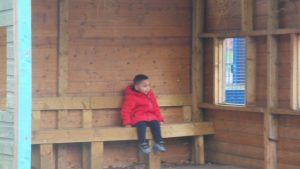 We are now able to see the children’s confidence growing and to observe them interacting positively with each other is wonderful. Mr Burton’s number and letter trail was a big hit and the children had great fun following the trails on their trikes. 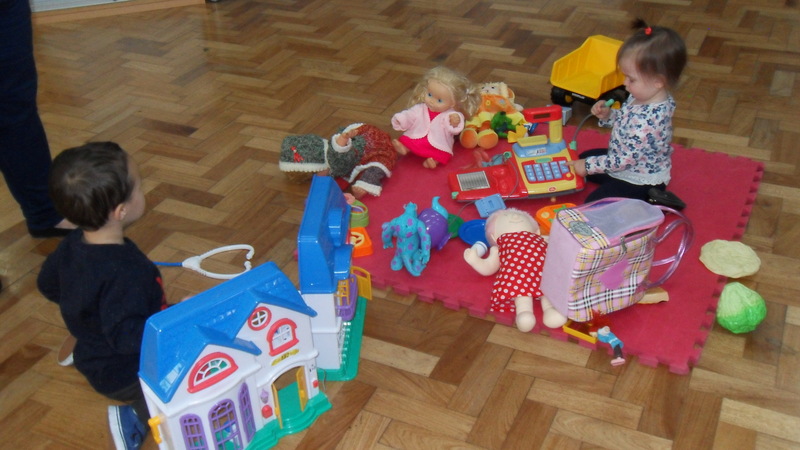 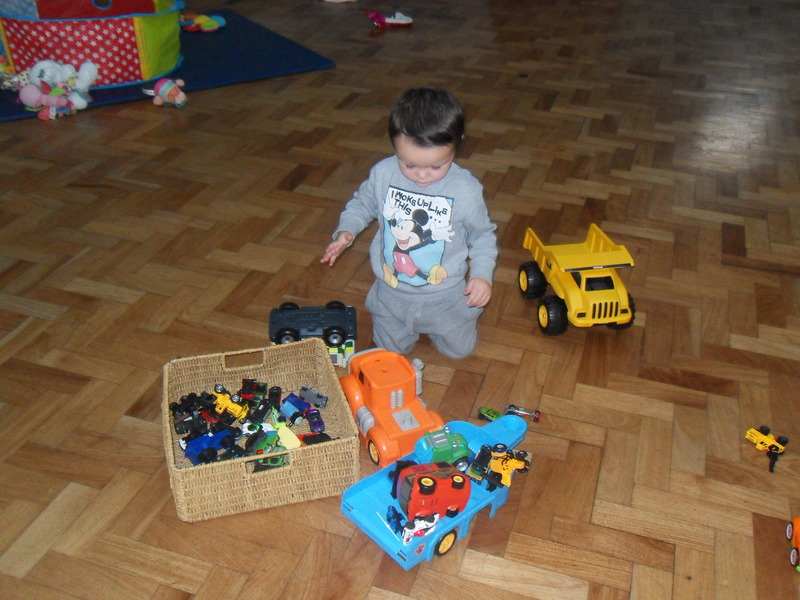 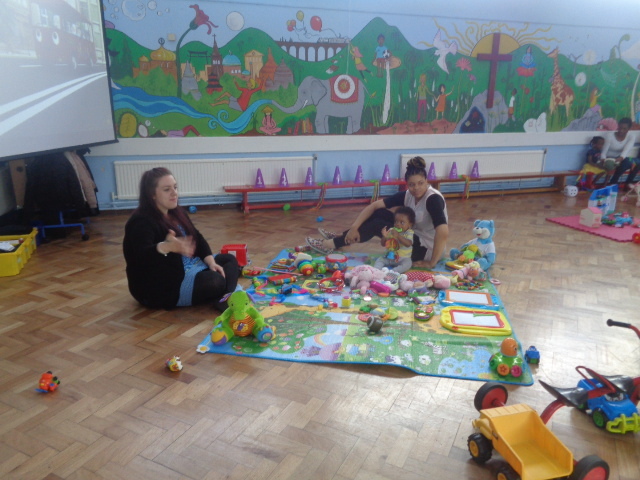 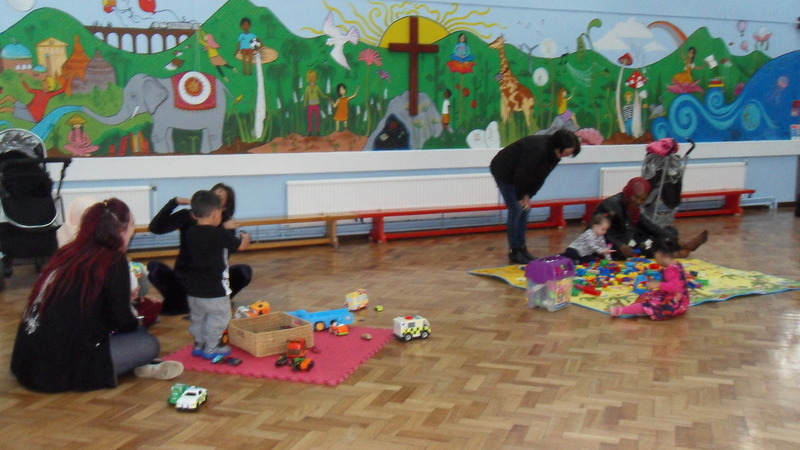 St. Clement’s Stay and Play runs every Wednesday, 9am-10am, in the school hall. 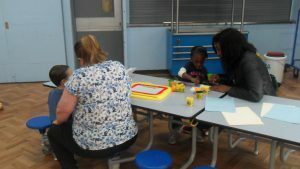 See Miss Akers for more details. 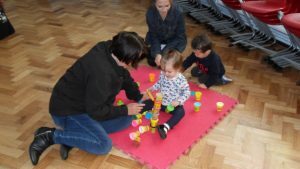 Another great week at Stay and Play! 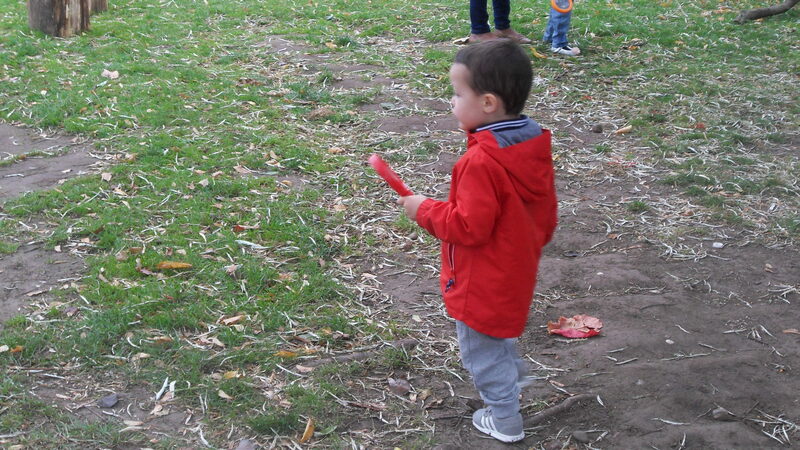 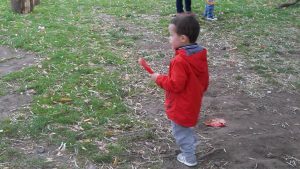 This week the children and adults showed a lot of interest in the ribbon twirling equipment – even Mr Burton. 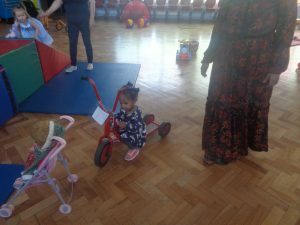 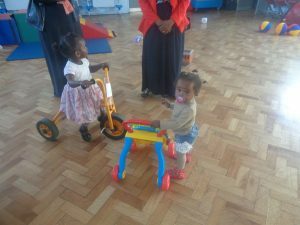 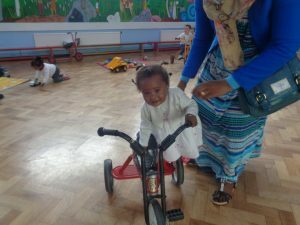 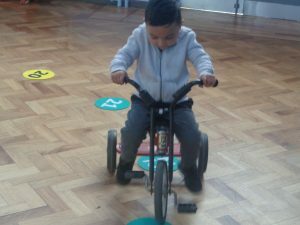 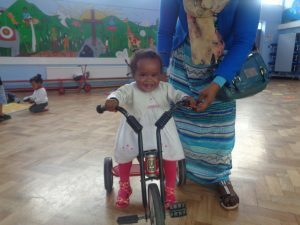 Trikes and bikes again were enjoyed by the children and gave them the opportunity to continue to develop their gross motor skills. 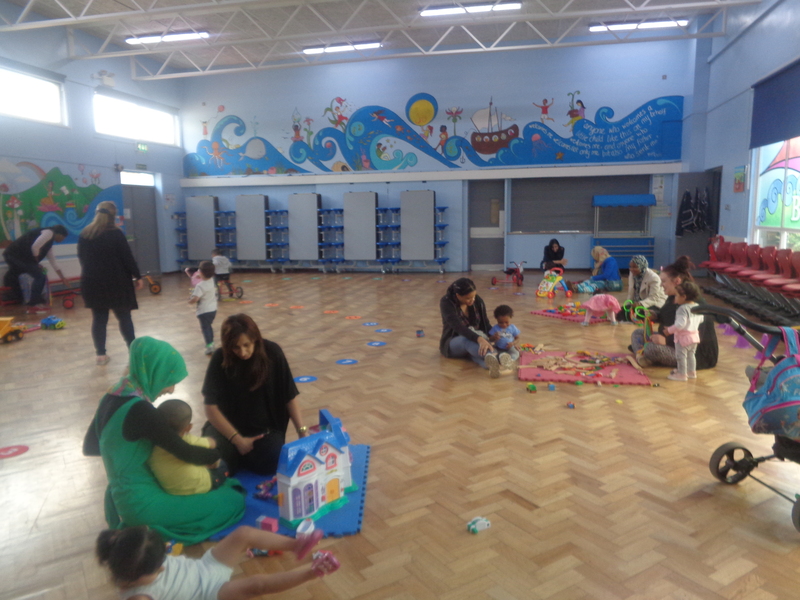 We would like to thank all the families who continue to attend Stay and Play on a regular basis. You have made it what it is – a fun, engaging, welcoming, happy, educational time. This week saw a fabulous turn out to Stay and Play. 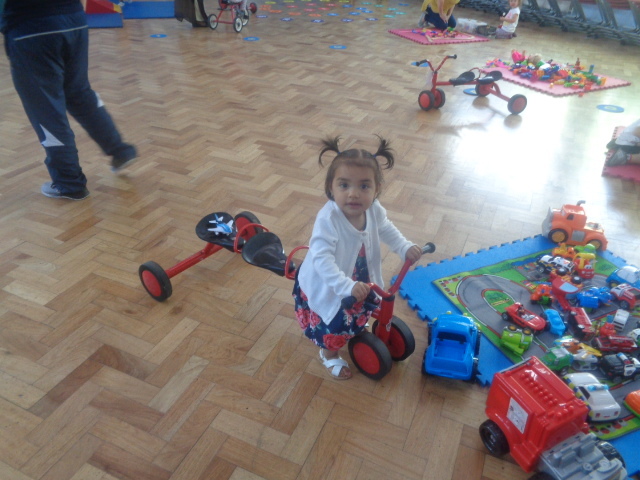 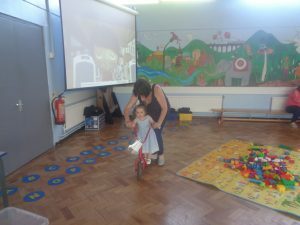 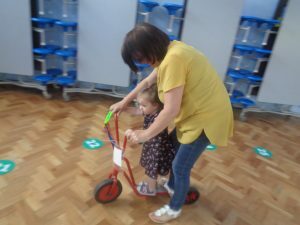 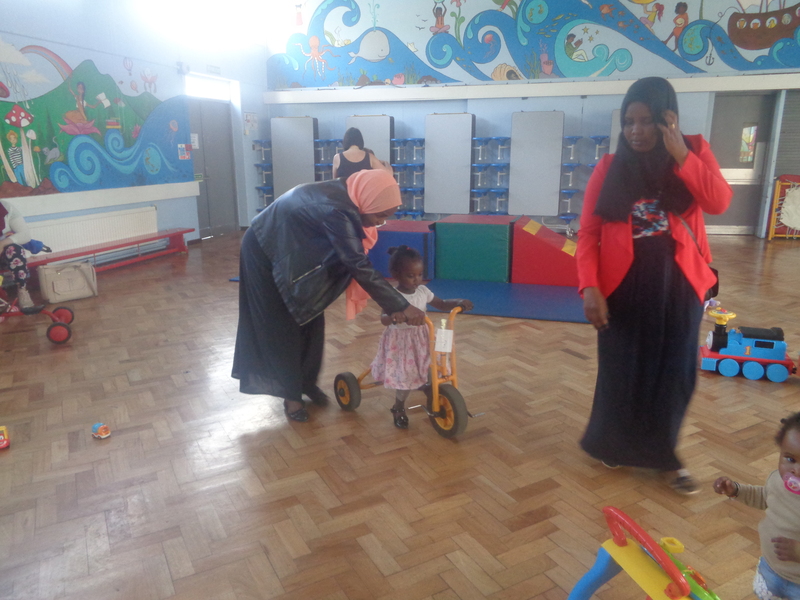 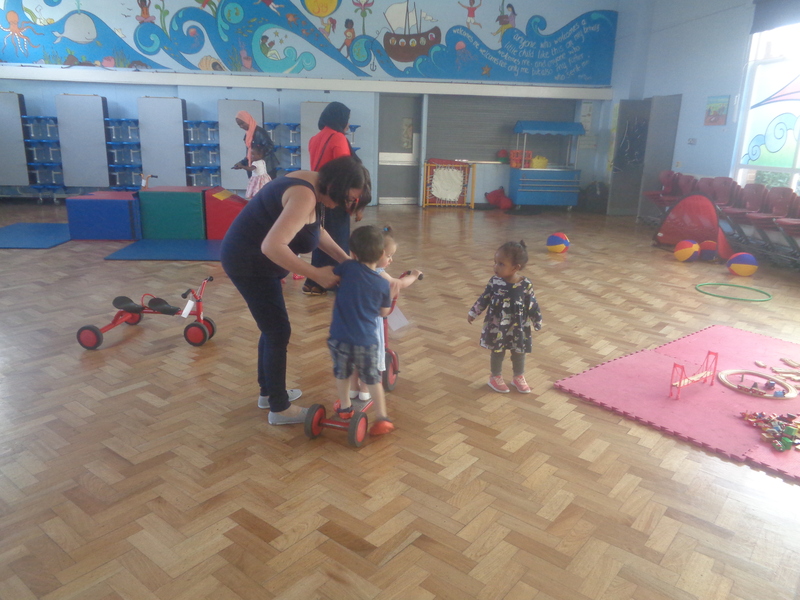 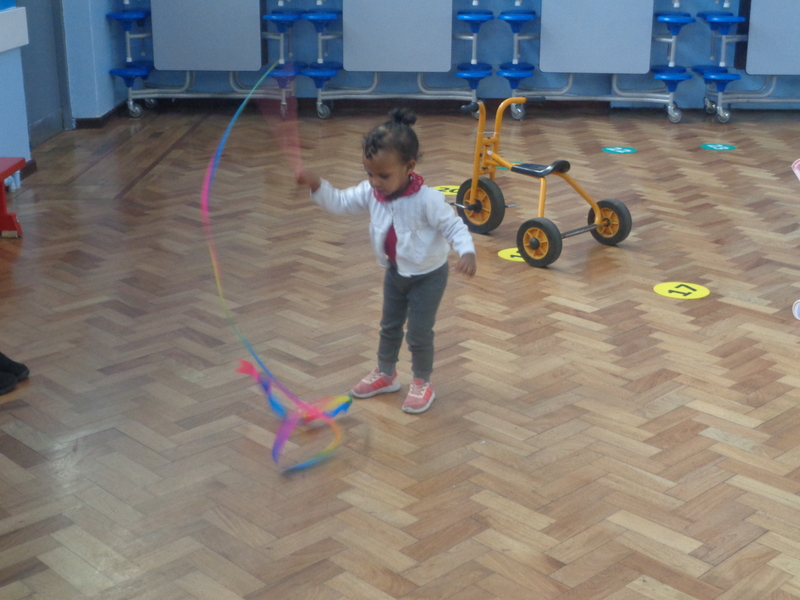 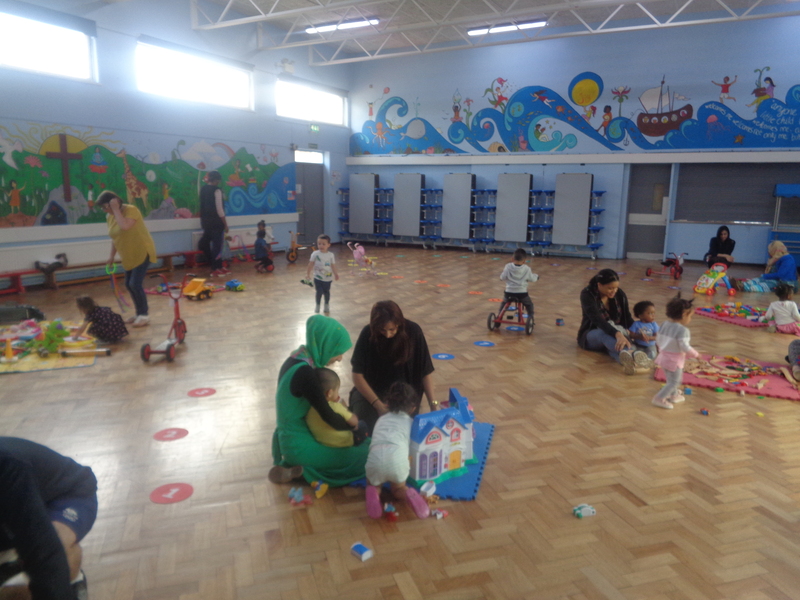 The children really enjoyed building on their gross motor skills using trikes, bikes and scooters. 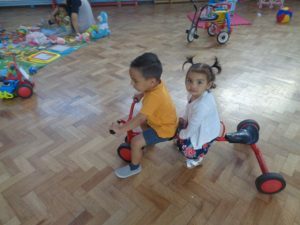 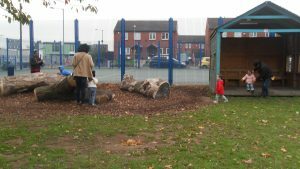 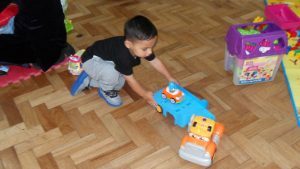 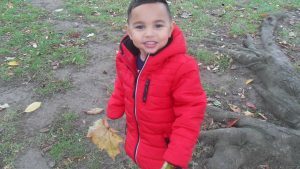 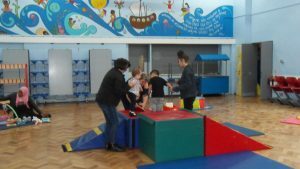 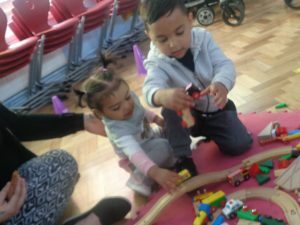 All the children are becoming more confident – this can been seen in the way they are interacting and enjoying the company of their friends. 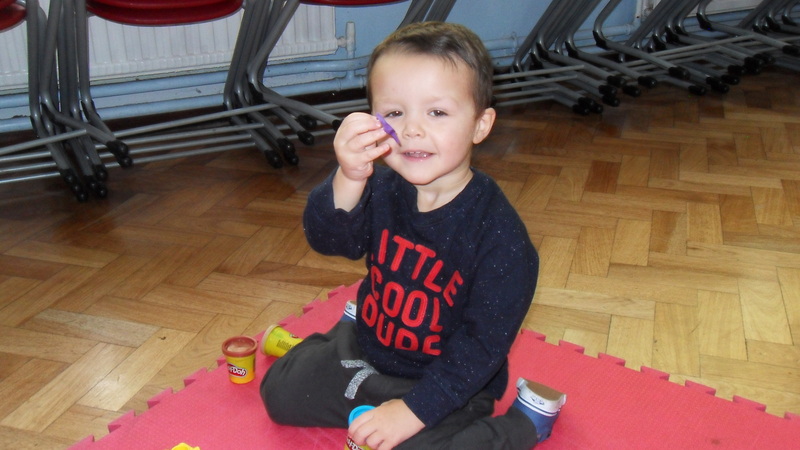 This week we also celebrated Jenson’s 3rd birthday – Happy Birthday Jenson. 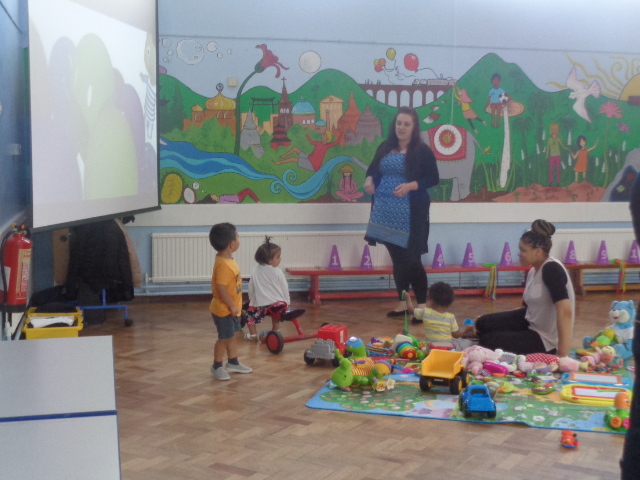 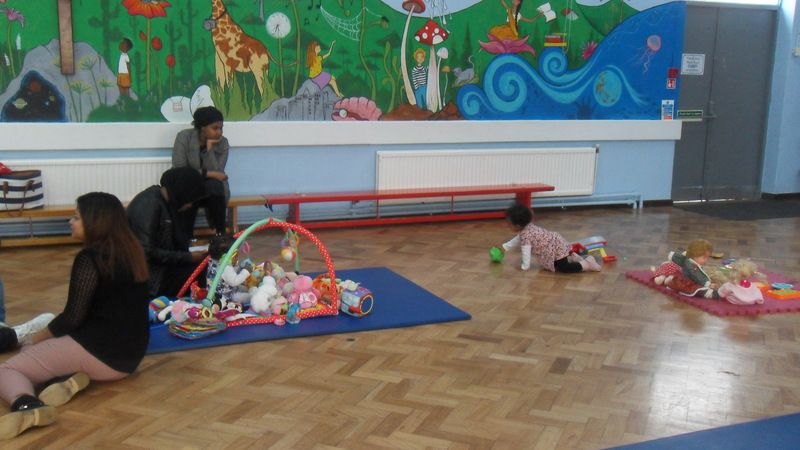 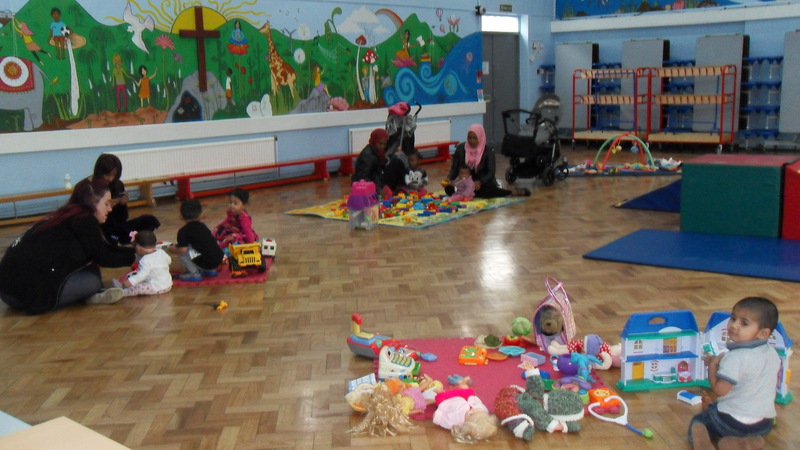 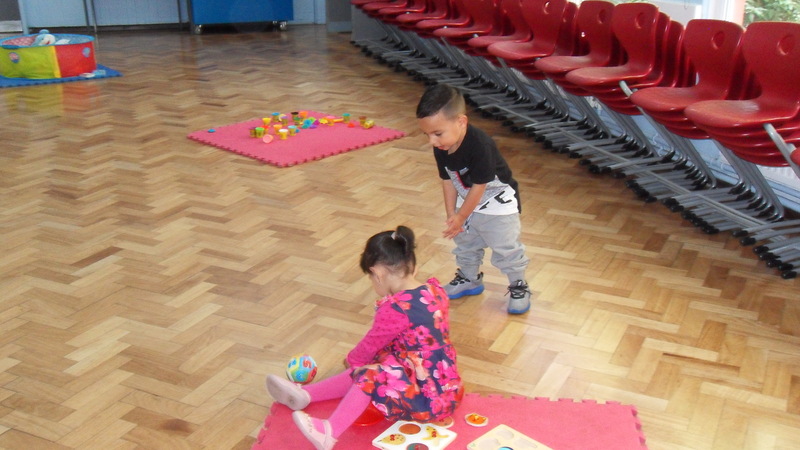 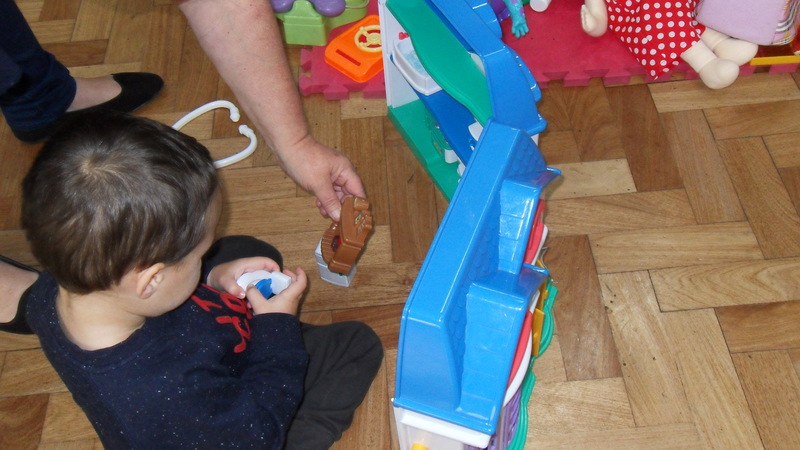 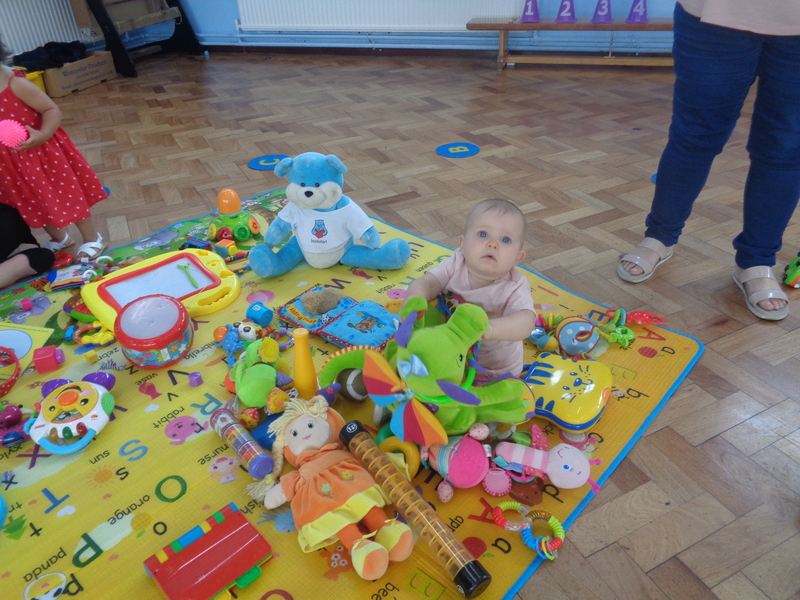 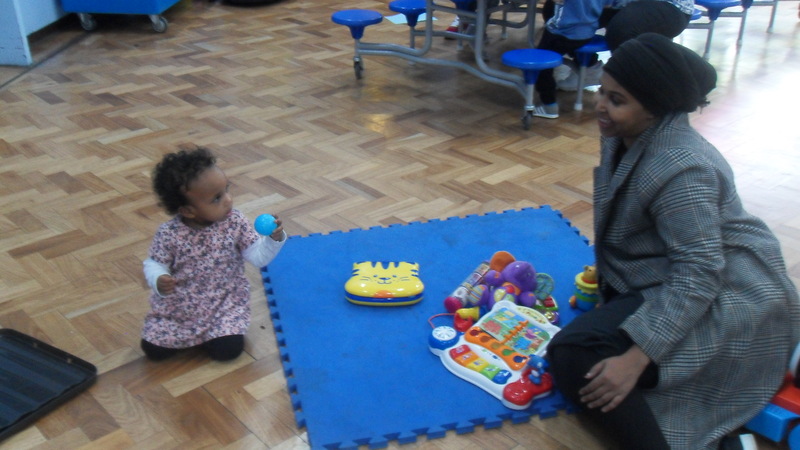 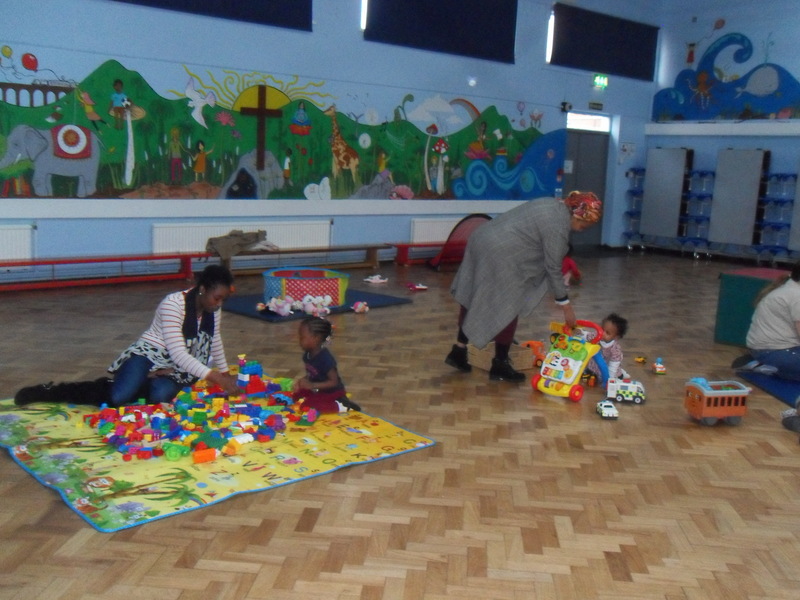 Stay and Play every Wednesday 9am – 10am, St. Clement’s School Hall. Another fantastic week at Stay and Play. This week we welcomed Layla to the group and celebrated Cassie’s birthday. 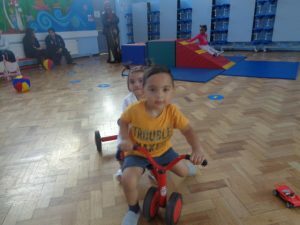 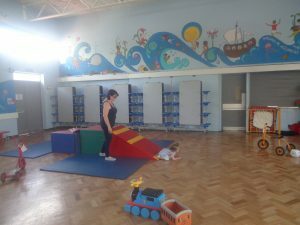 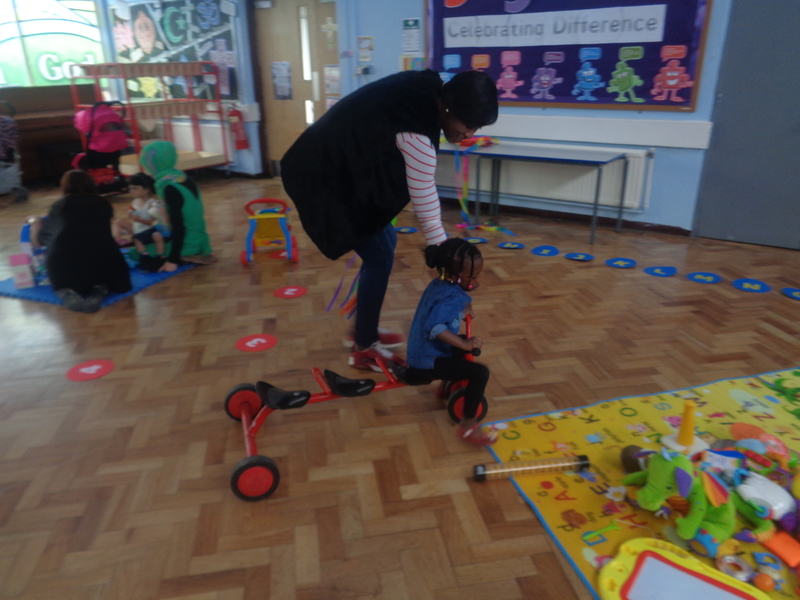 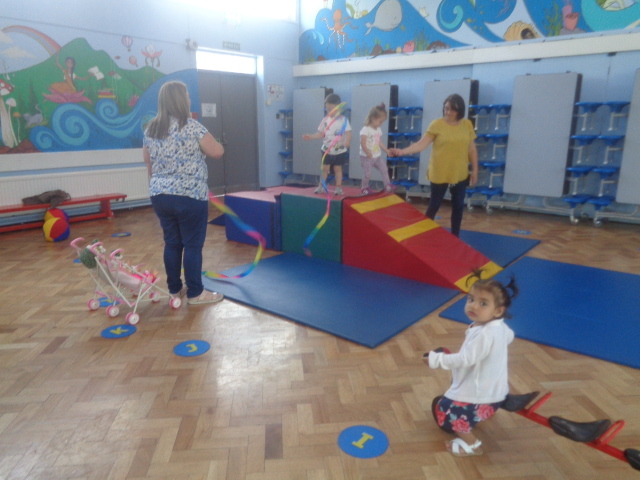 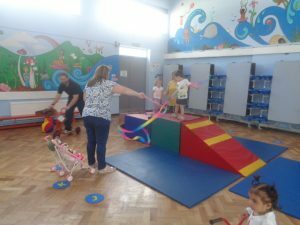 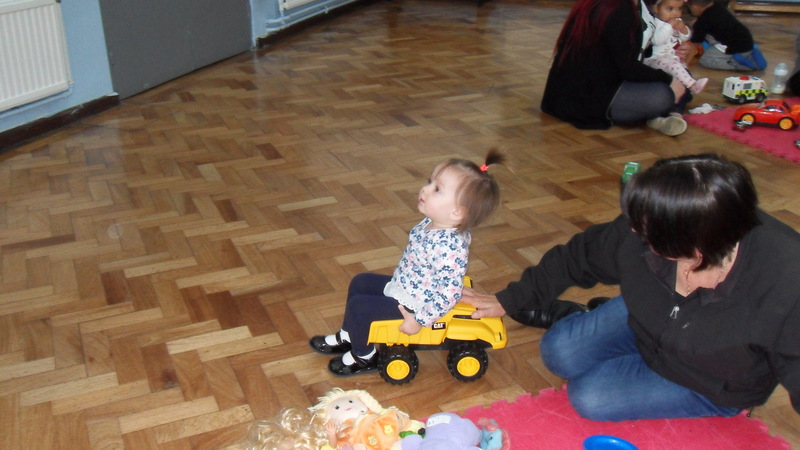 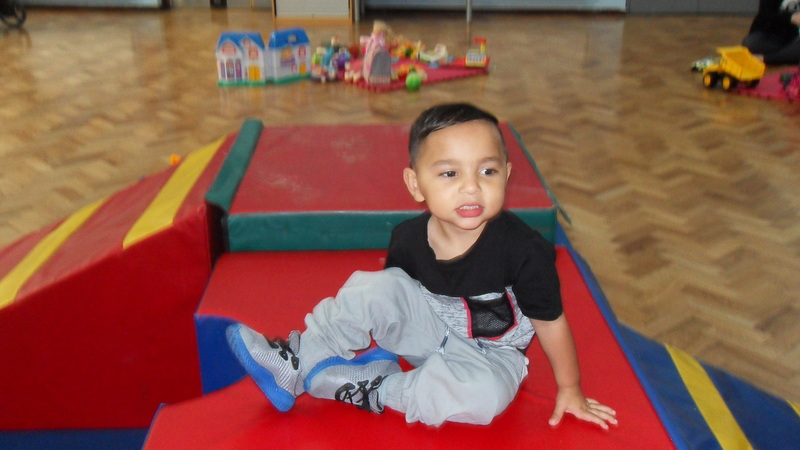 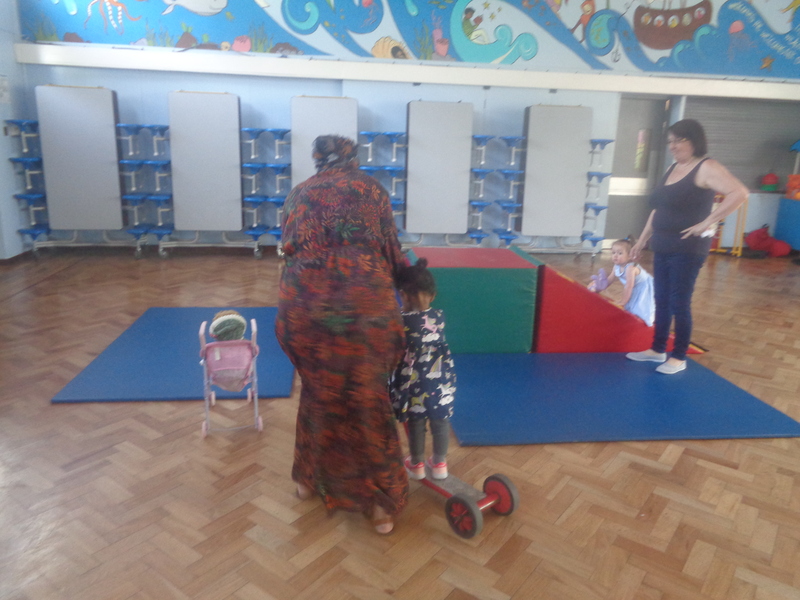 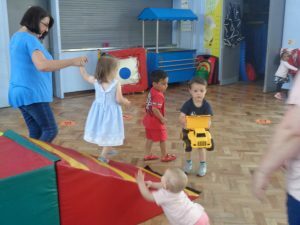 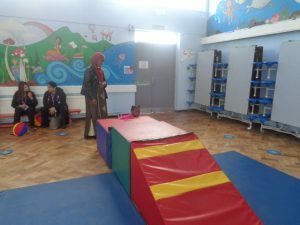 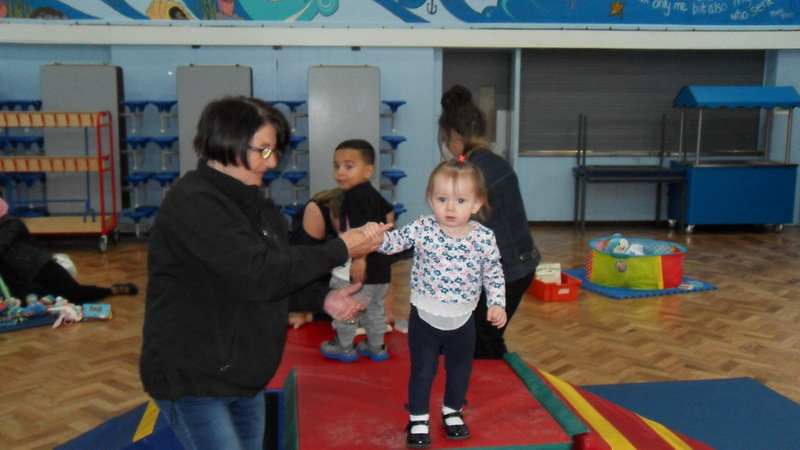 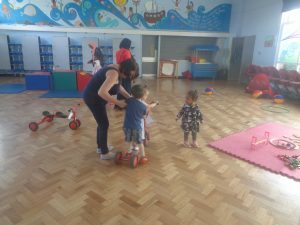 The children enjoyed exploring and using trikes and scooters, not forgetting the fun they had developing gross motor skills on our soft play climbing area. 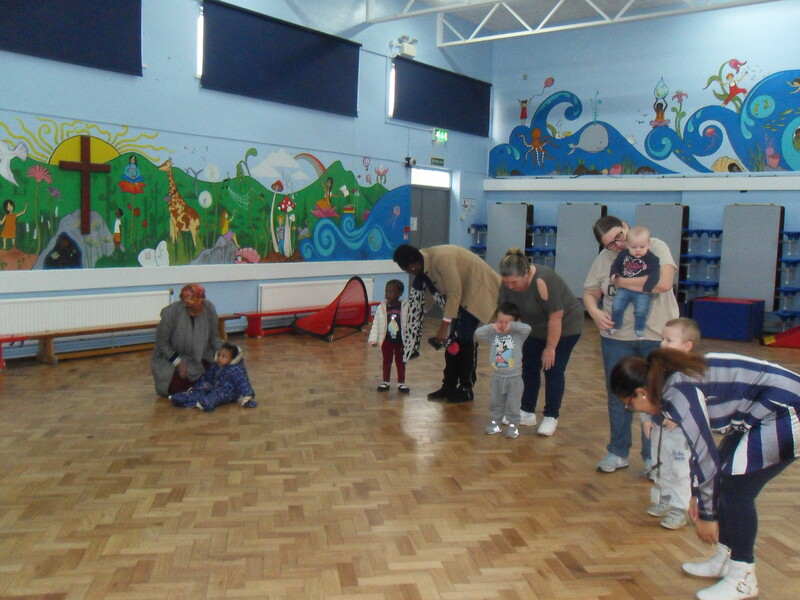 Come along and join the fun Wednesdays 9am – 10am. 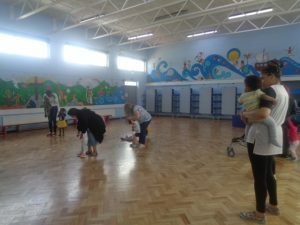 St. Clement’s School Hall. 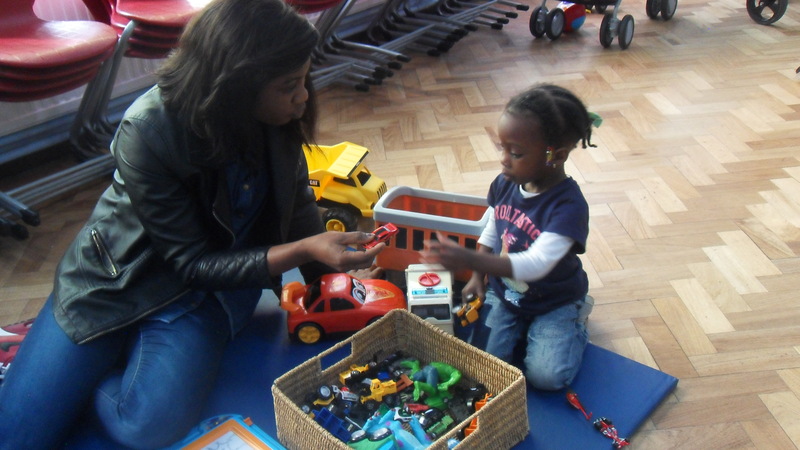 This week saw the return of St. Clement’s Stay and Play. 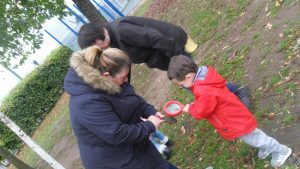 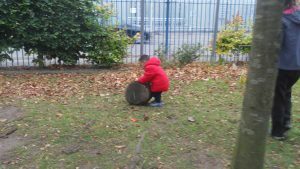 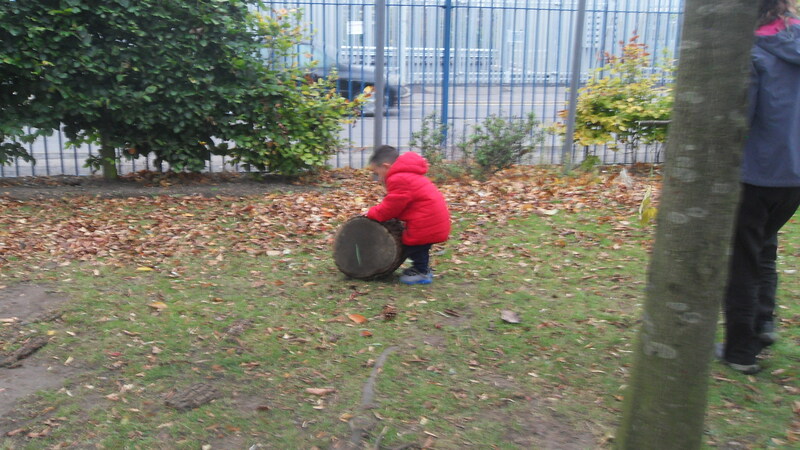 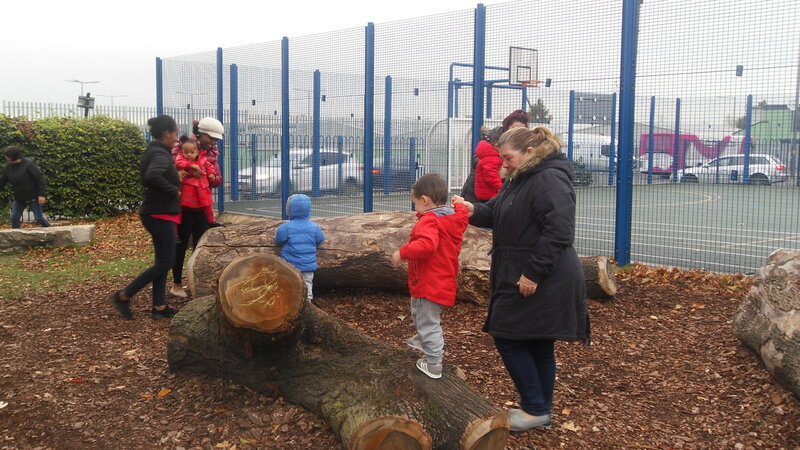 The children enjoyed playing, learning and exploring together. 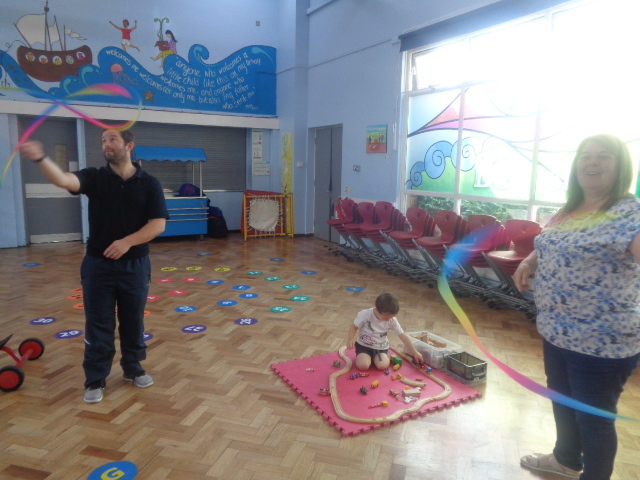 Song time was enjoyed by all, including Mr Burton. New children joined us this week and we hope to see them again. 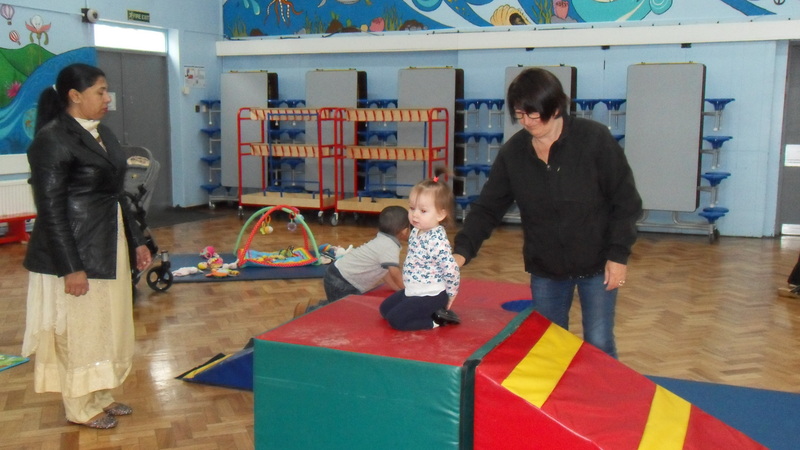 For further details please see Miss Akers or come along, Wednesdays, 9am – 10am, in the school hall. 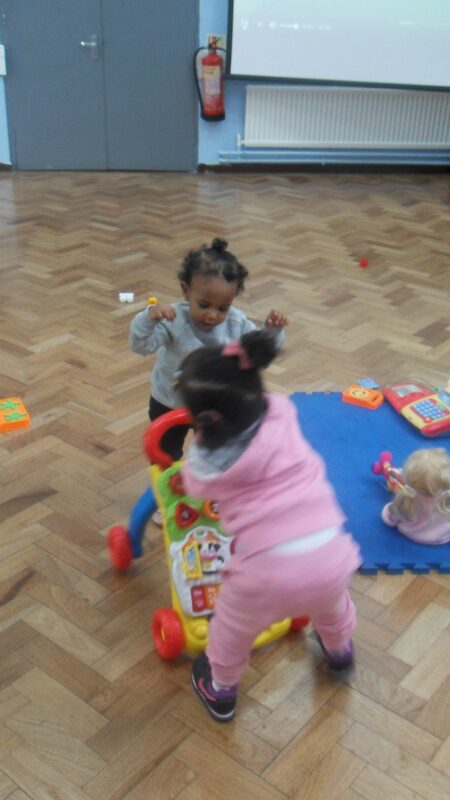 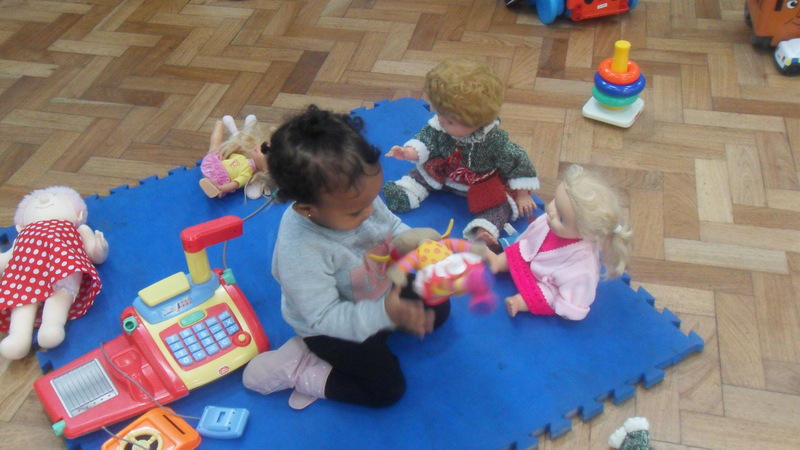 At St Clement’s Stay and Play we have been having lots of fun. 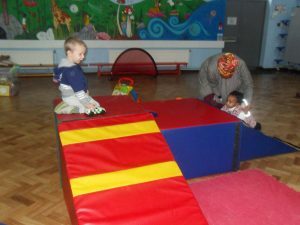 The children are becoming more confident, engaging with each other and learning new skills. 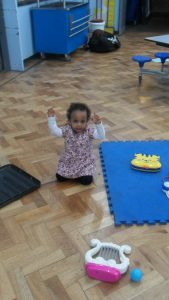 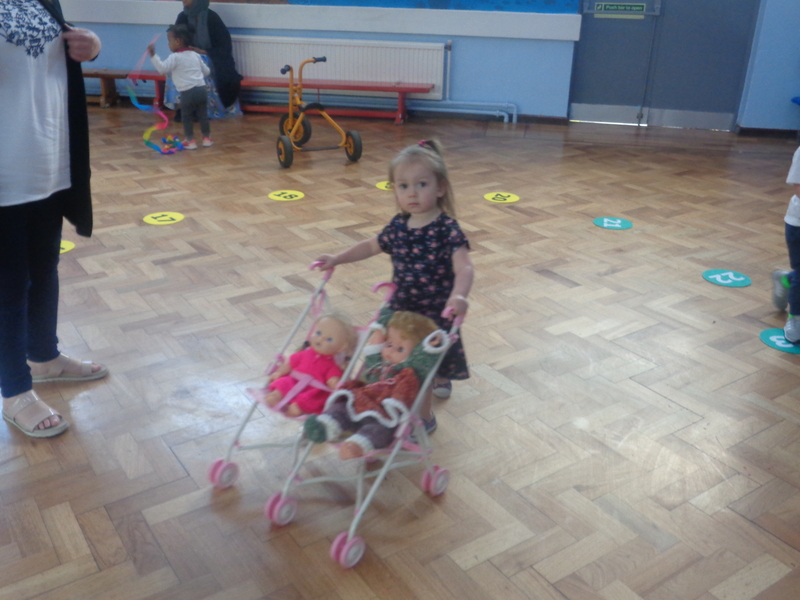 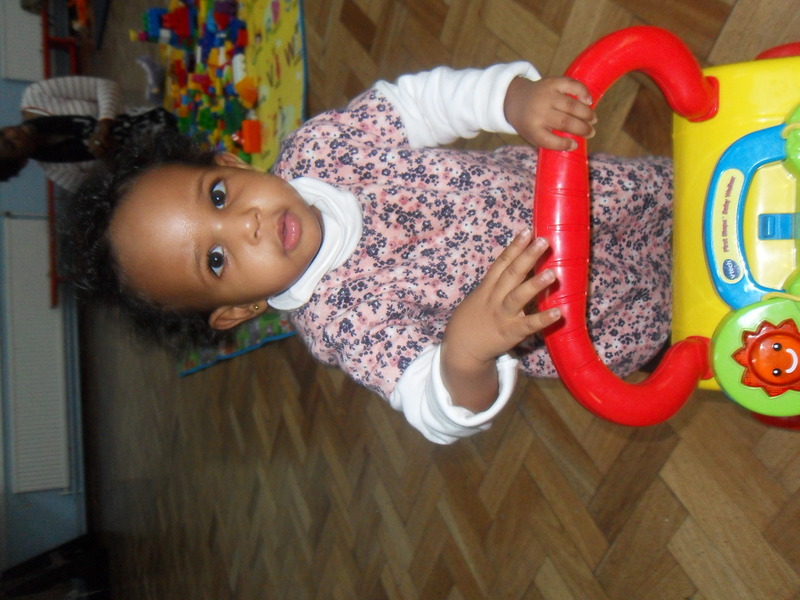 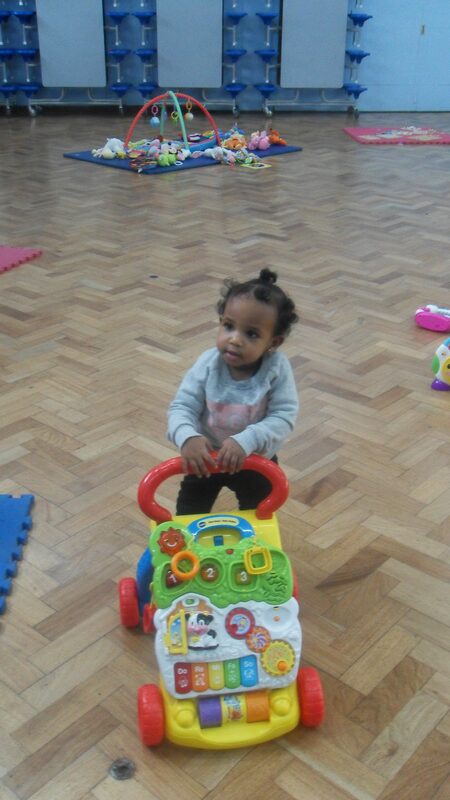 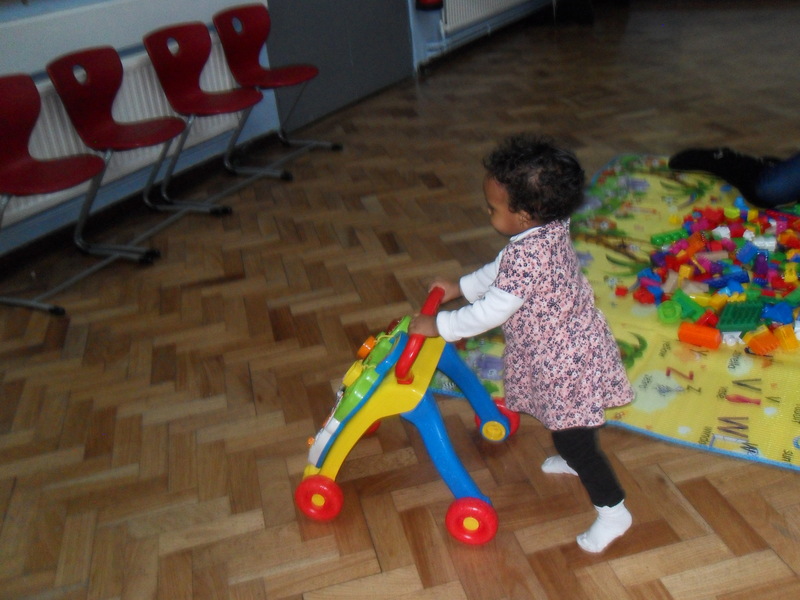 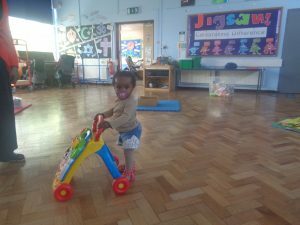 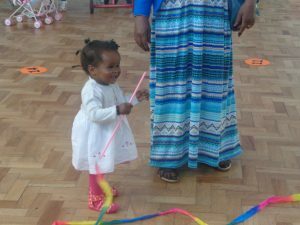 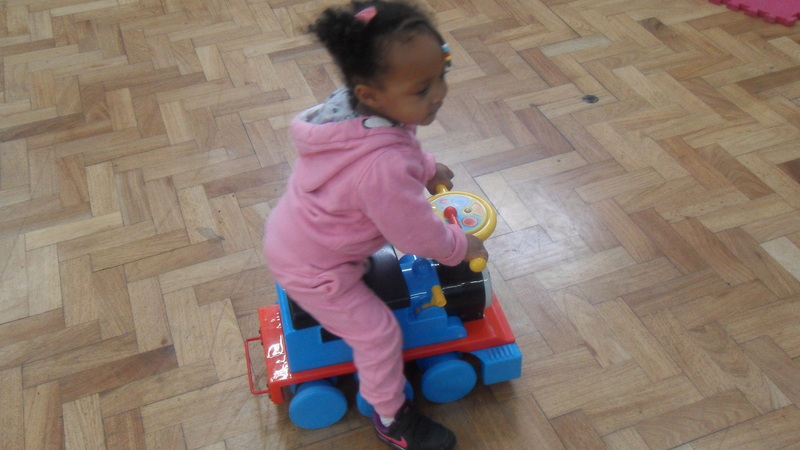 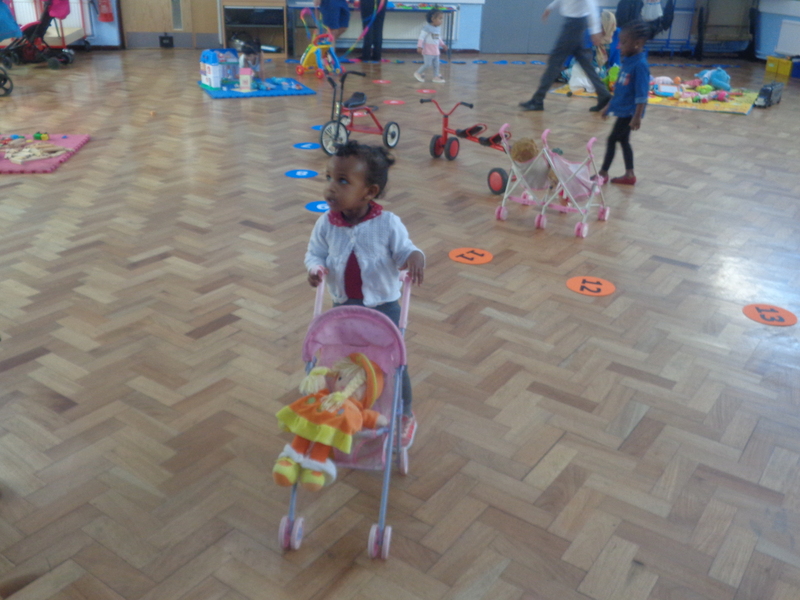 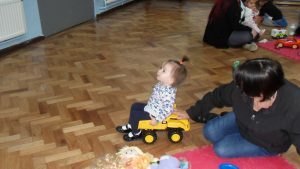 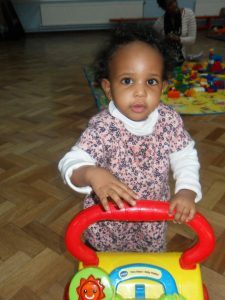 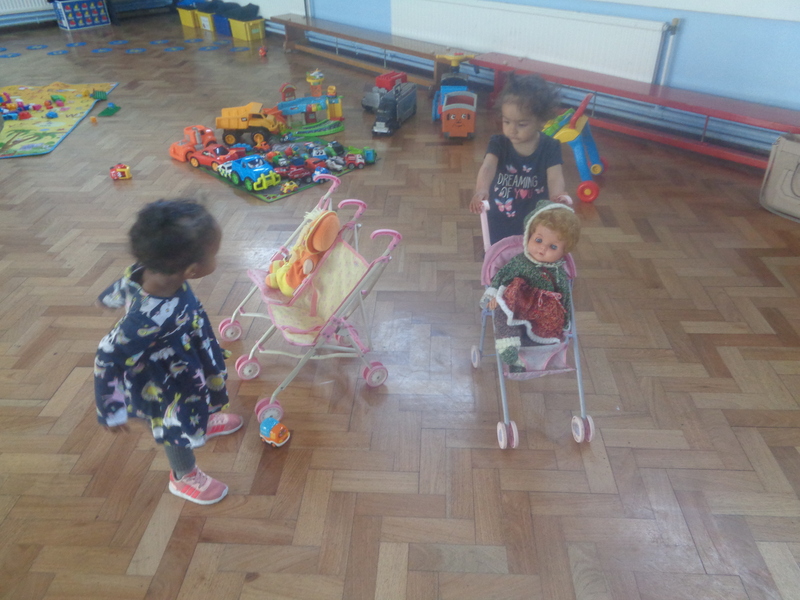 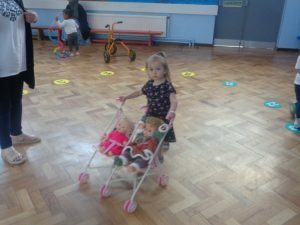 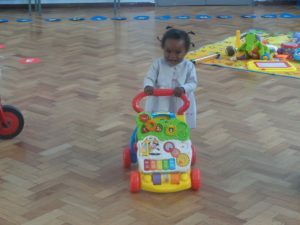 This week we saw one of our children finally master walking with her push along frame. This milestone was celebrated by everyone, which made mum and daughter very proud. If you would like more information about St Clement’s Stay and Play then see Miss Akers or come along Wednesday mornings at 9am. 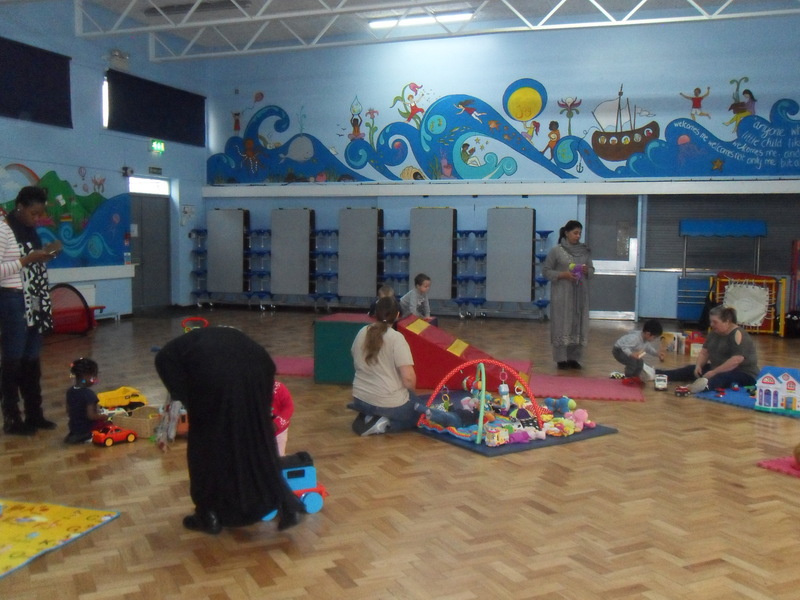 A great first week back at St Clement’s Stay and Play. 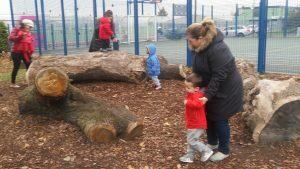 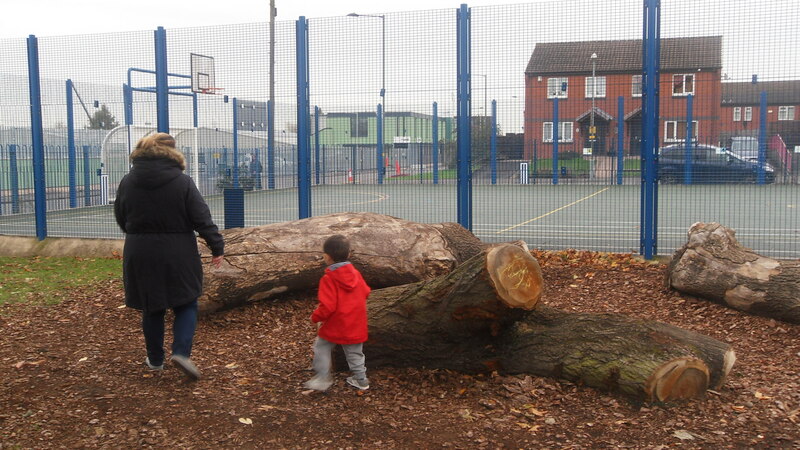 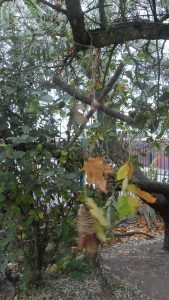 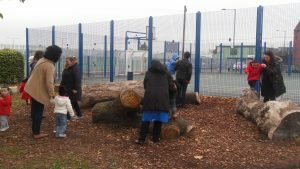 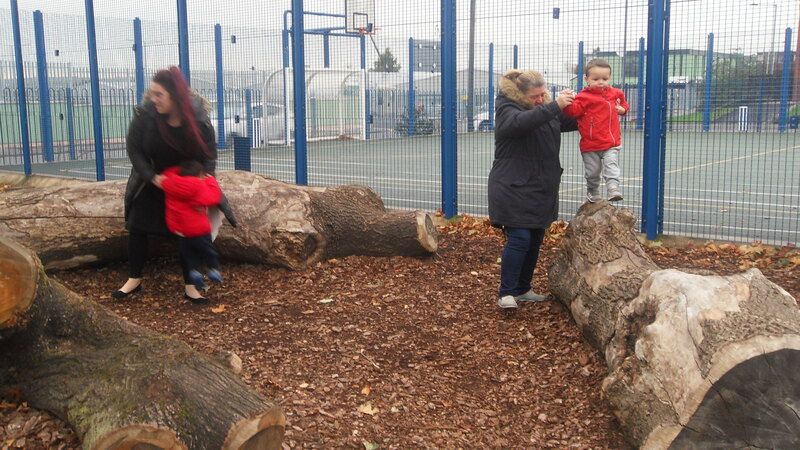 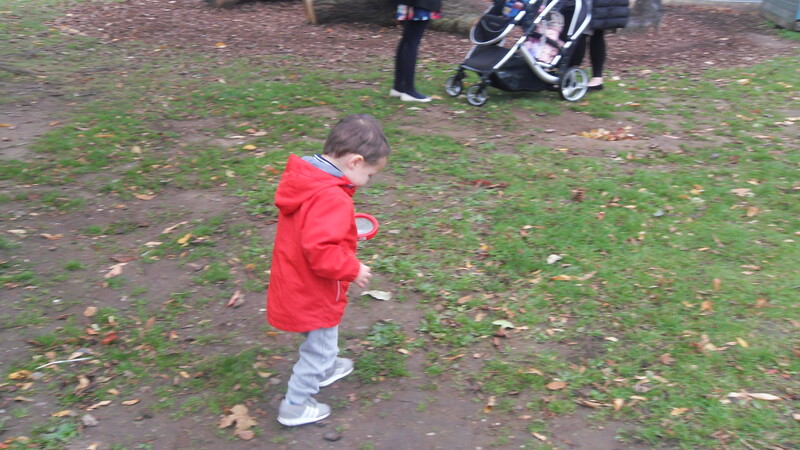 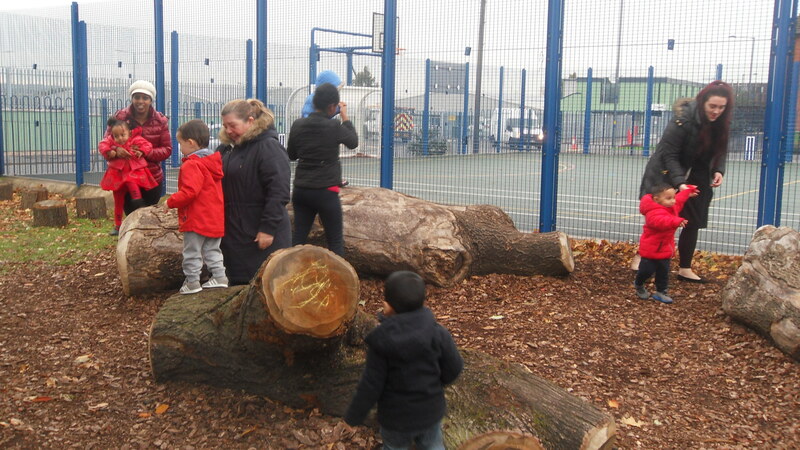 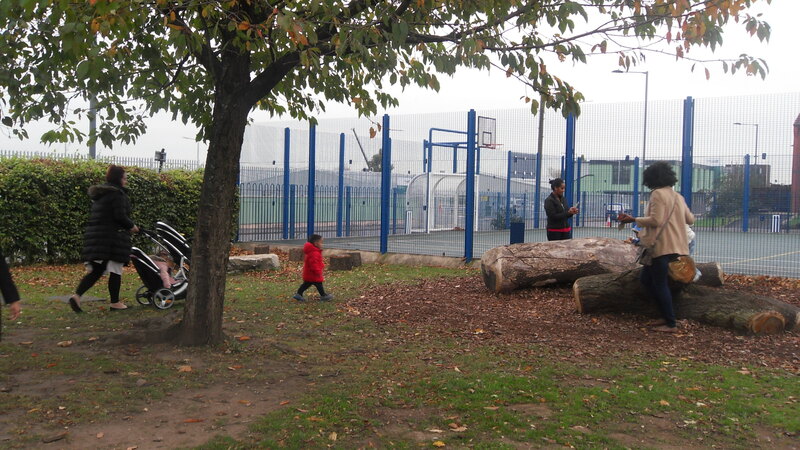 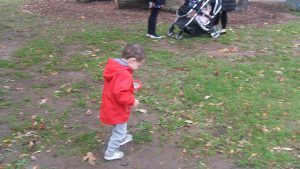 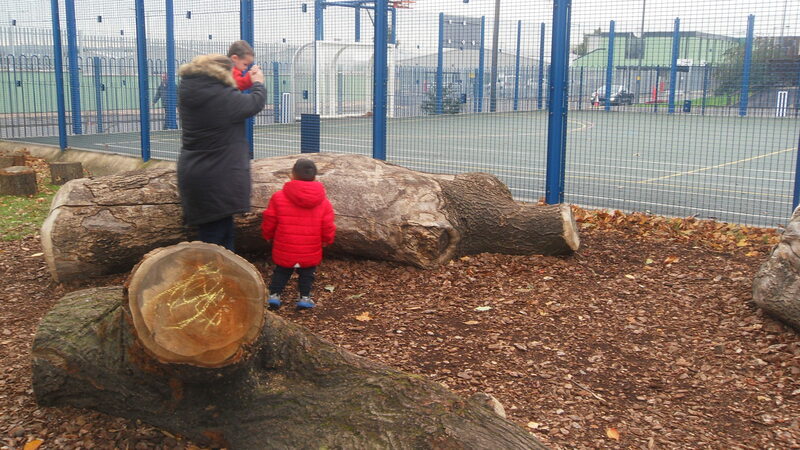 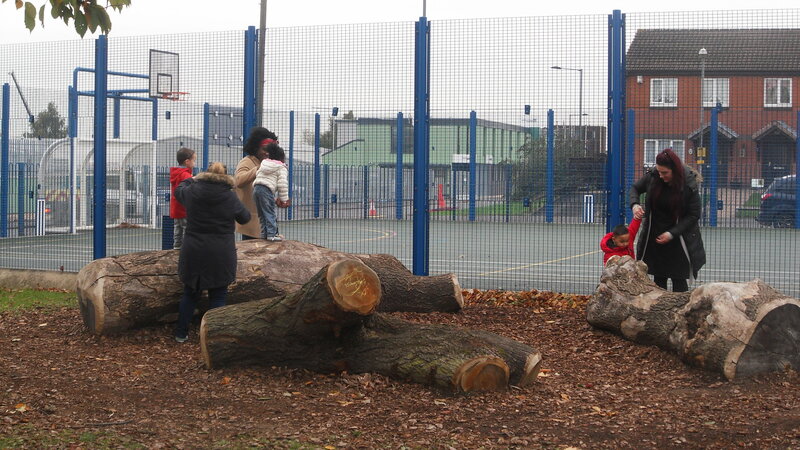 The children had a fabulous time exploring and playing with their friends. Song time again was a popular part of the session. 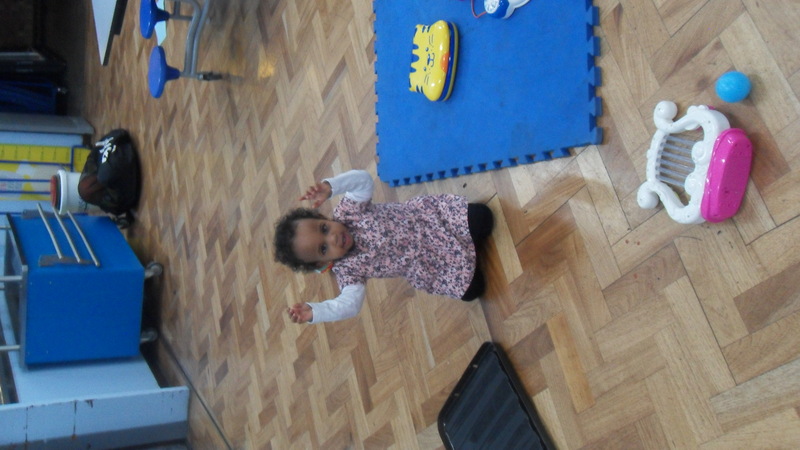 This week, we enjoyed ‘Head, Shoulders, Knees and Toes’ and ‘If You’re Happy and You Know It’. 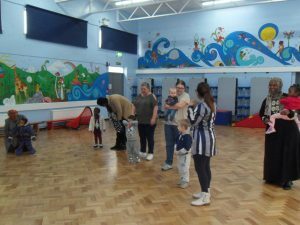 Come and join in the fun every Wednesday, 9am – 10am, St Clement’s School Hall. 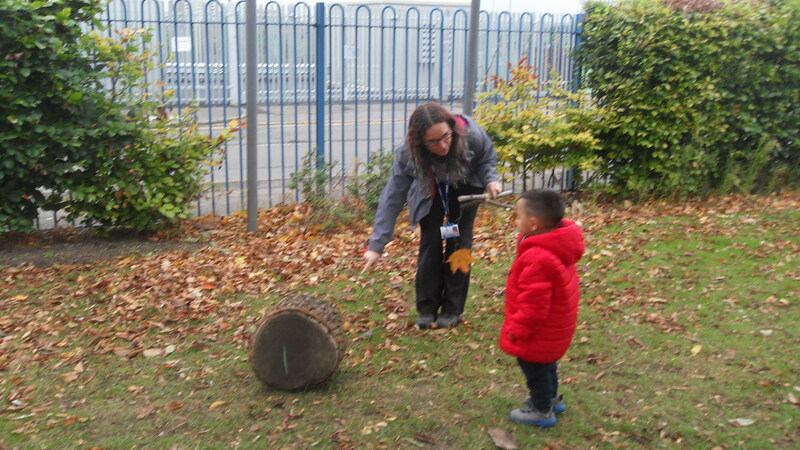 This week we worked with Miss Grant in the Academy’s Forest School. 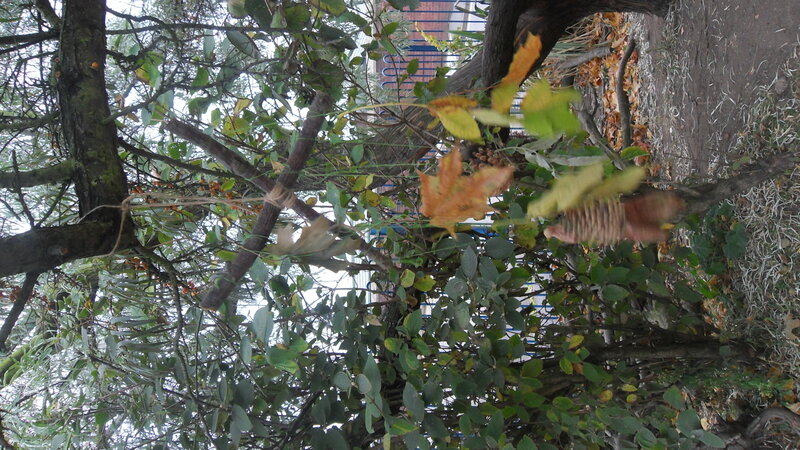 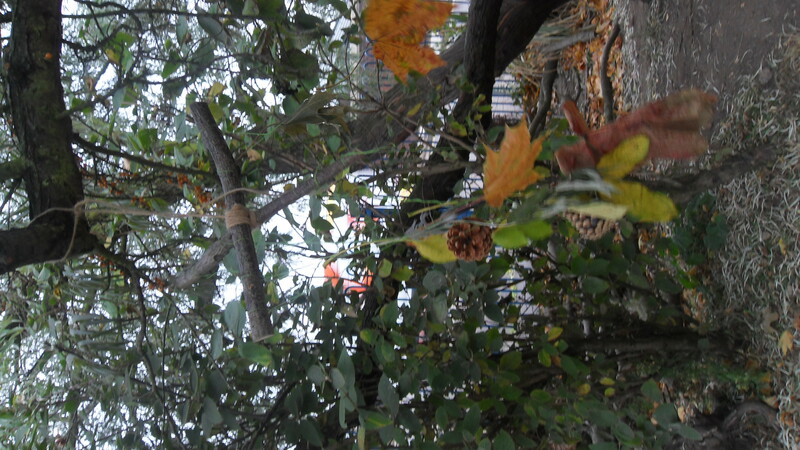 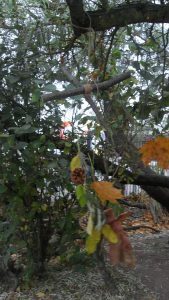 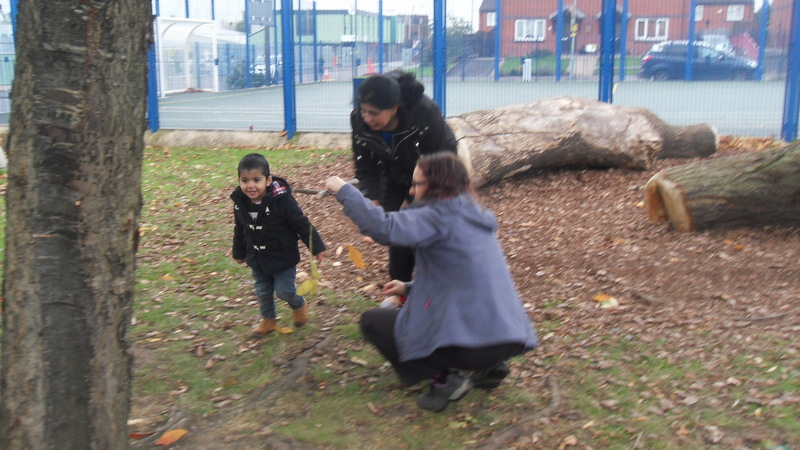 The children enjoyed exploring and collecting items to create a mobile. 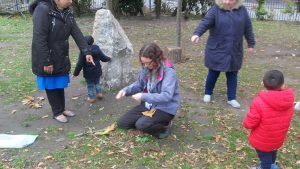 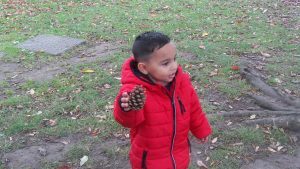 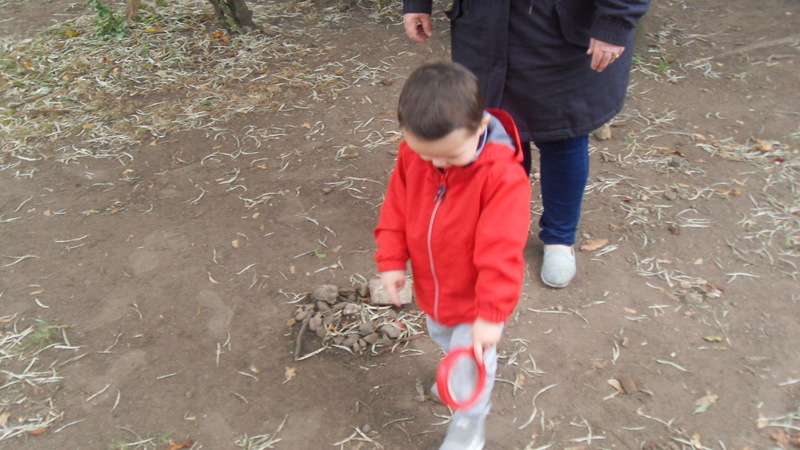 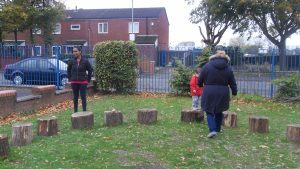 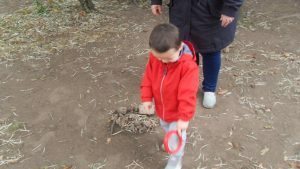 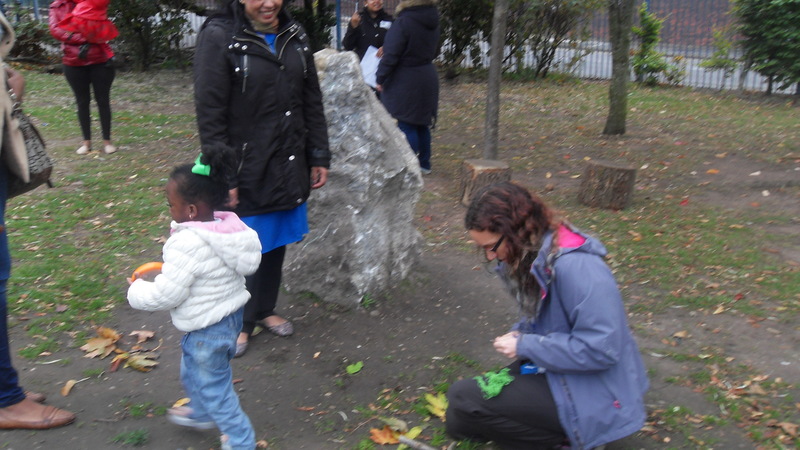 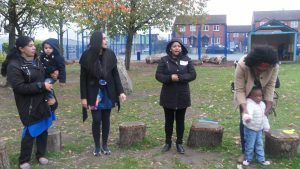 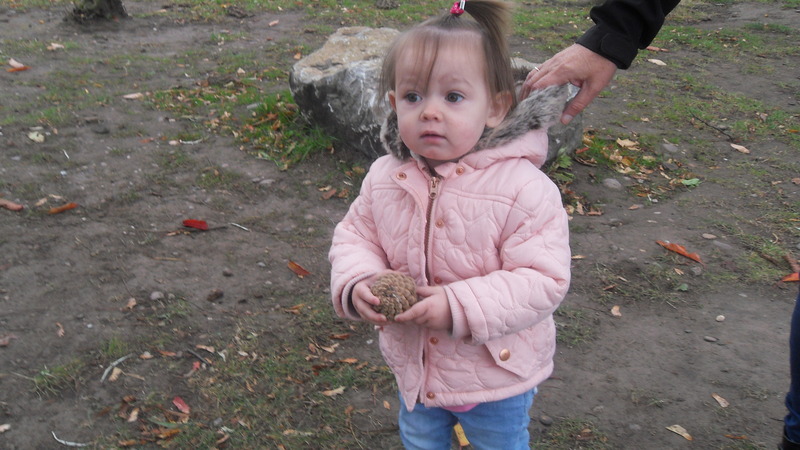 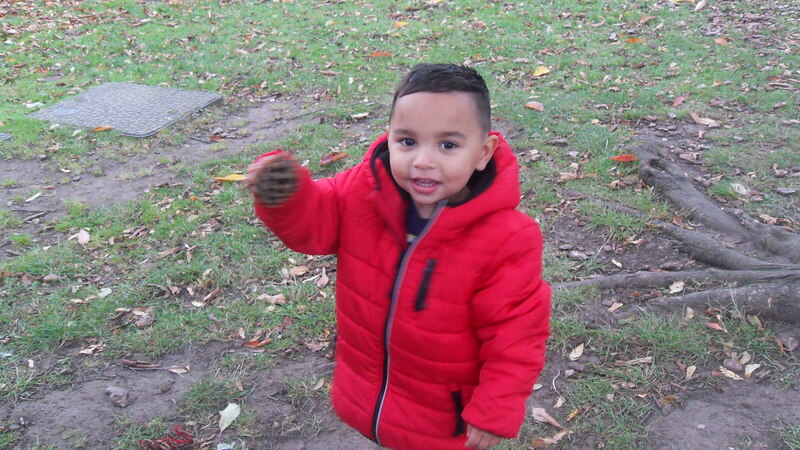 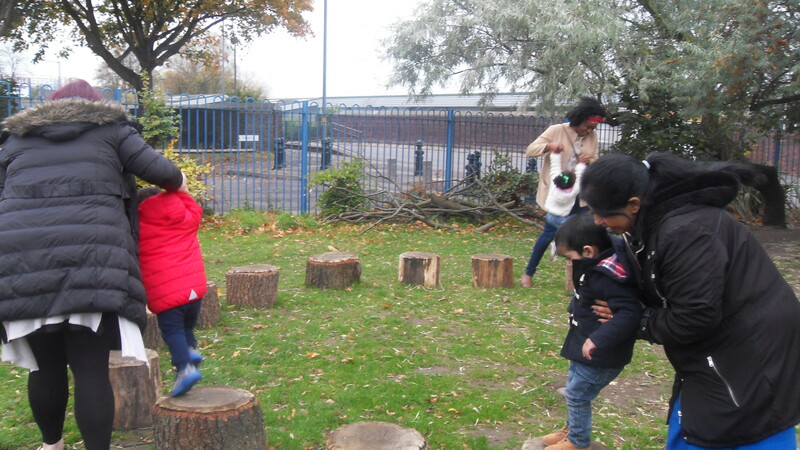 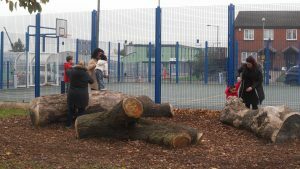 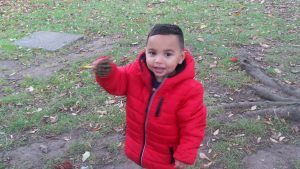 All the children had a fantastic time climbing on rocks, logs, and trees and not forgetting, singing around the fire pit. 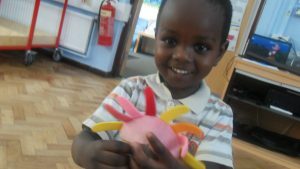 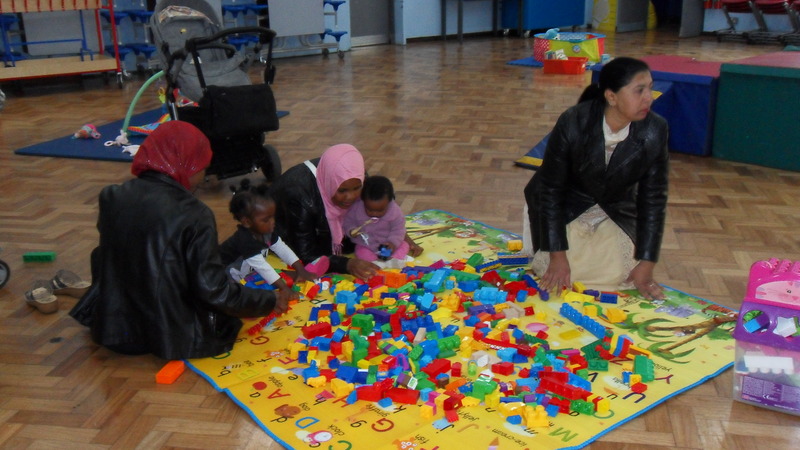 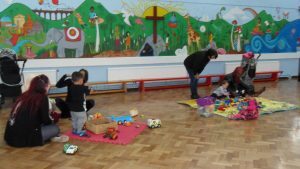 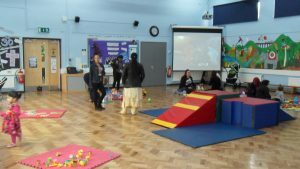 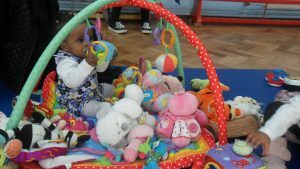 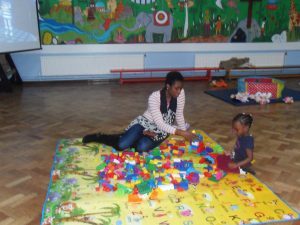 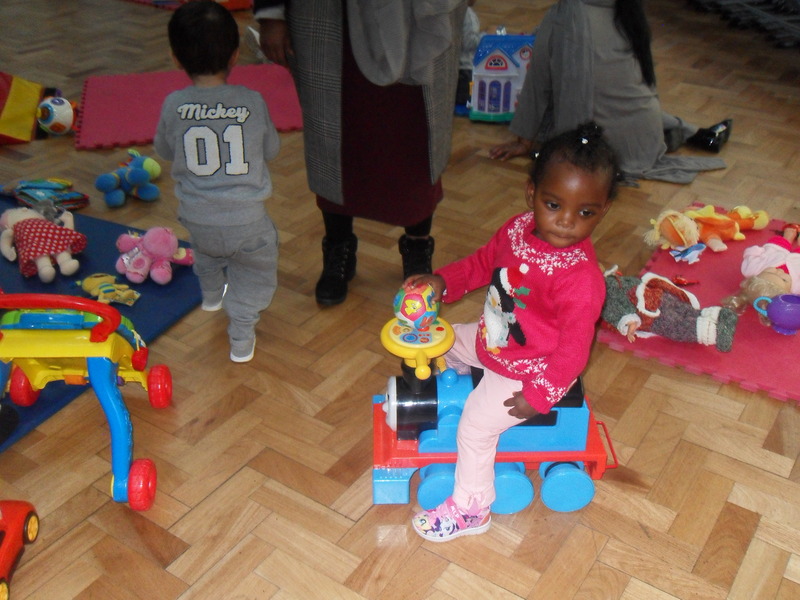 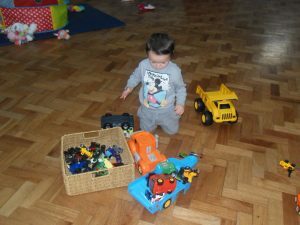 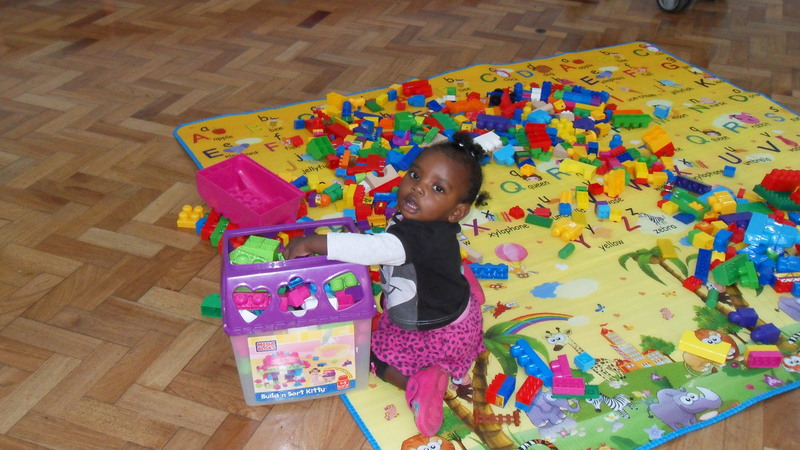 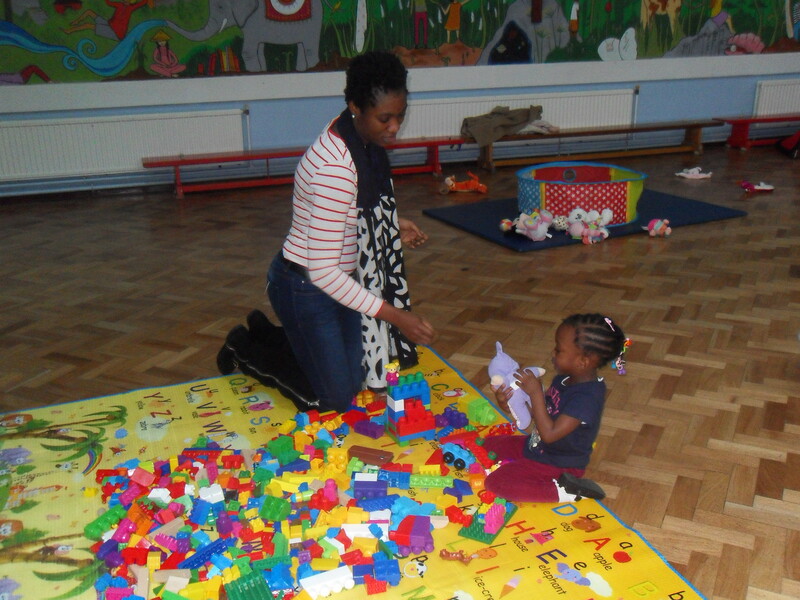 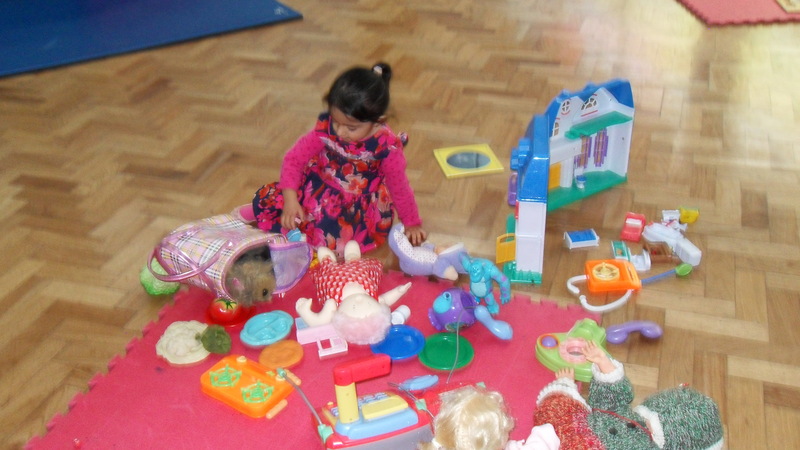 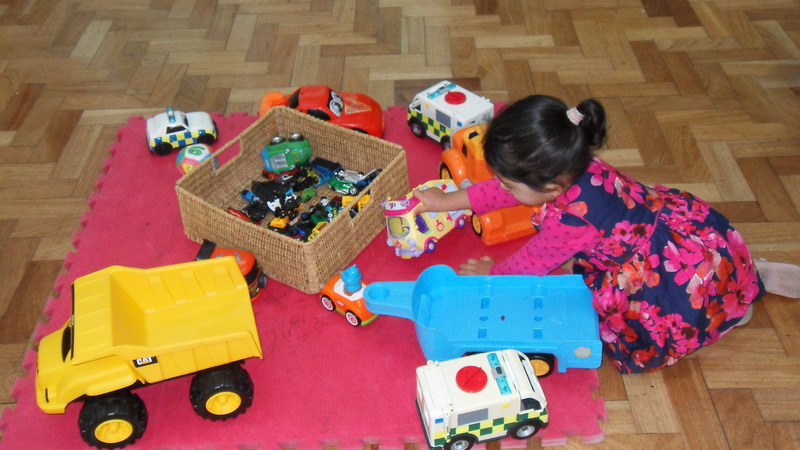 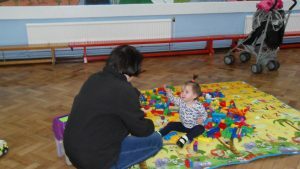 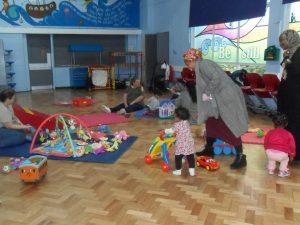 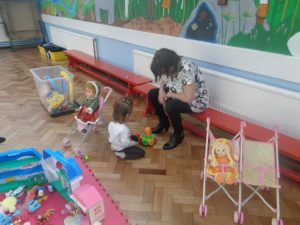 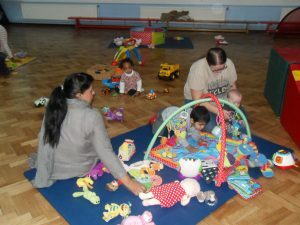 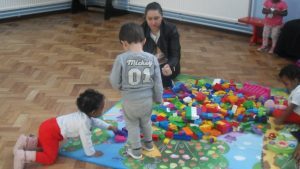 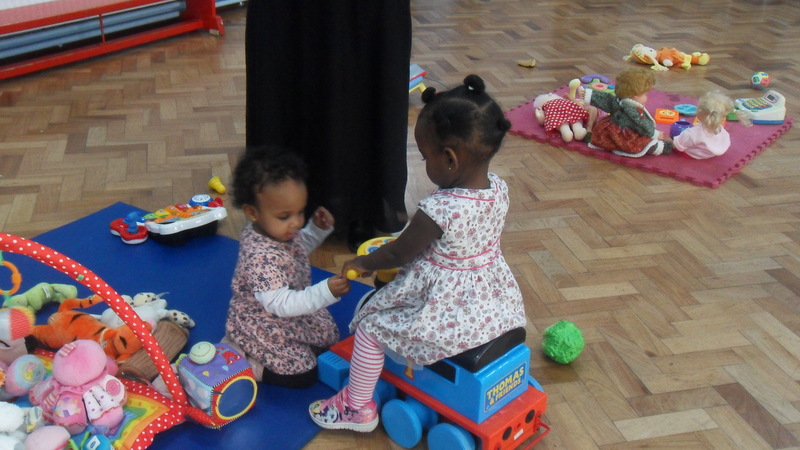 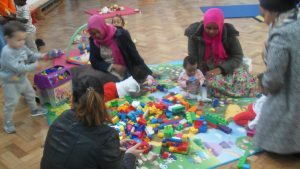 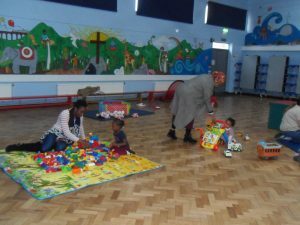 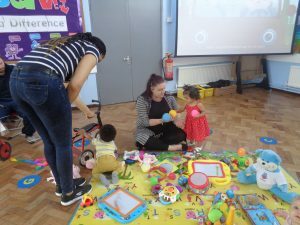 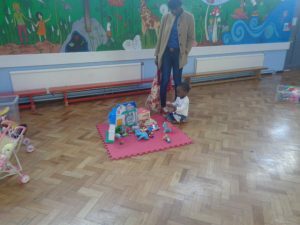 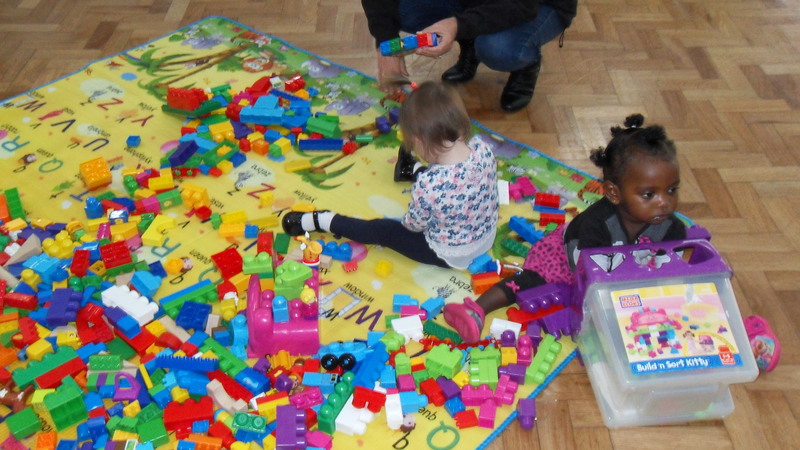 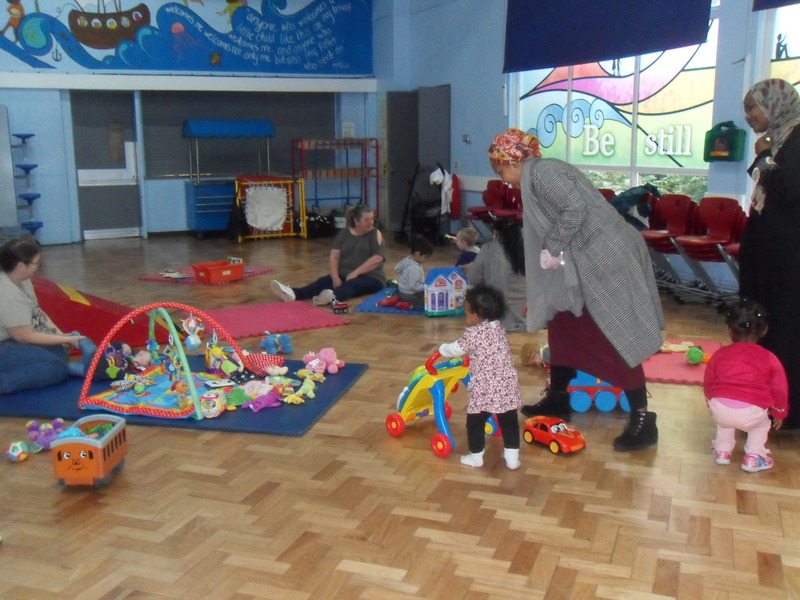 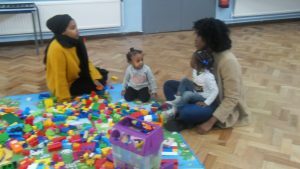 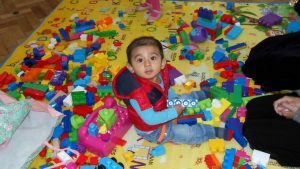 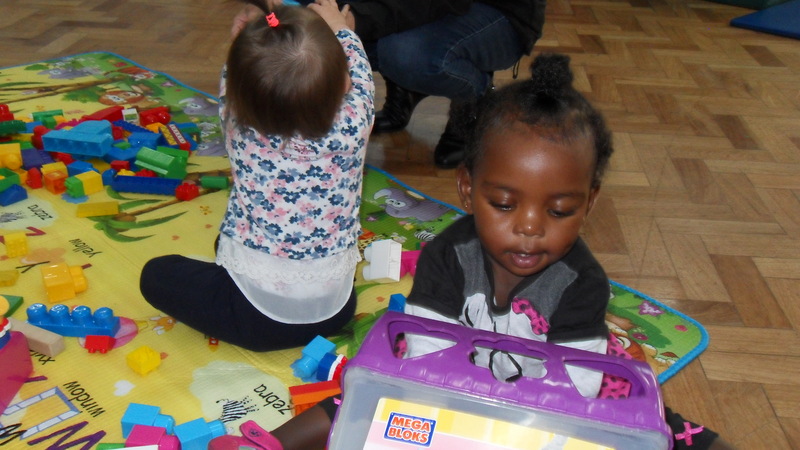 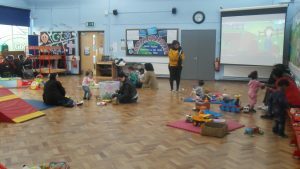 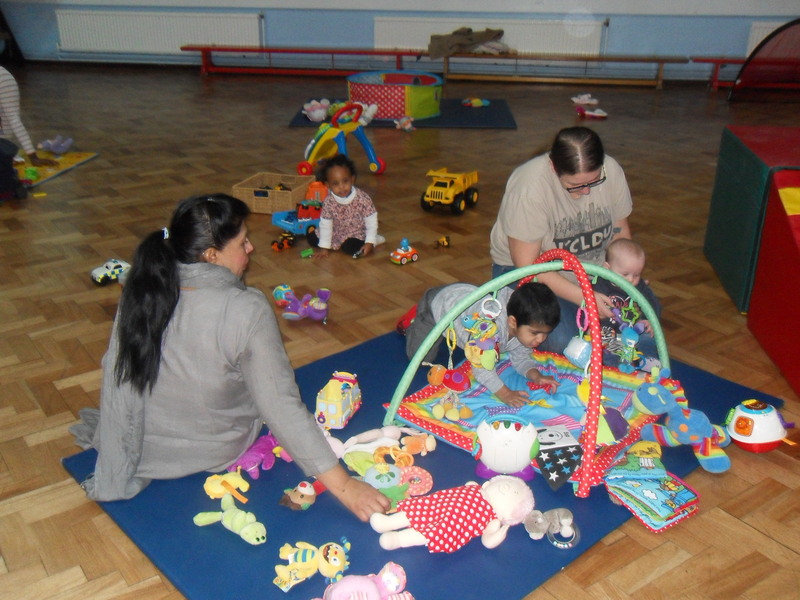 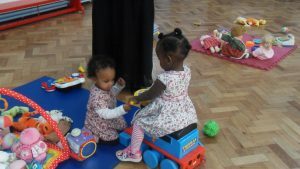 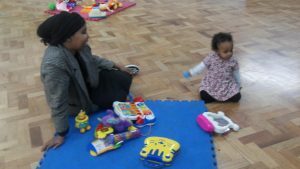 St Clement’s Stay and Play has been very busy. 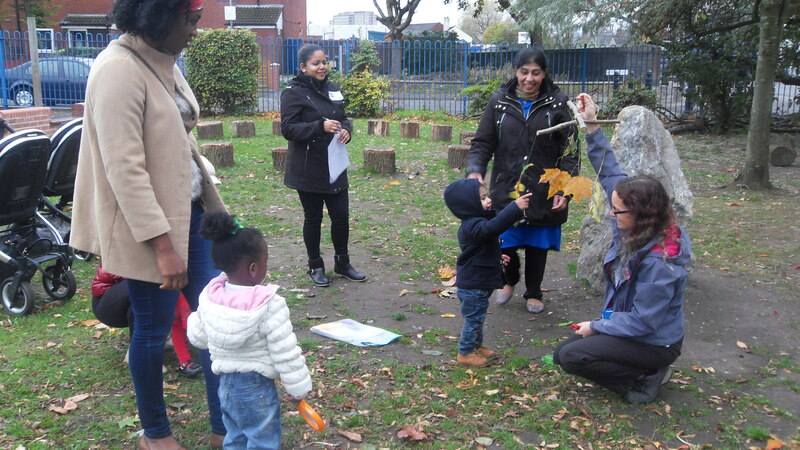 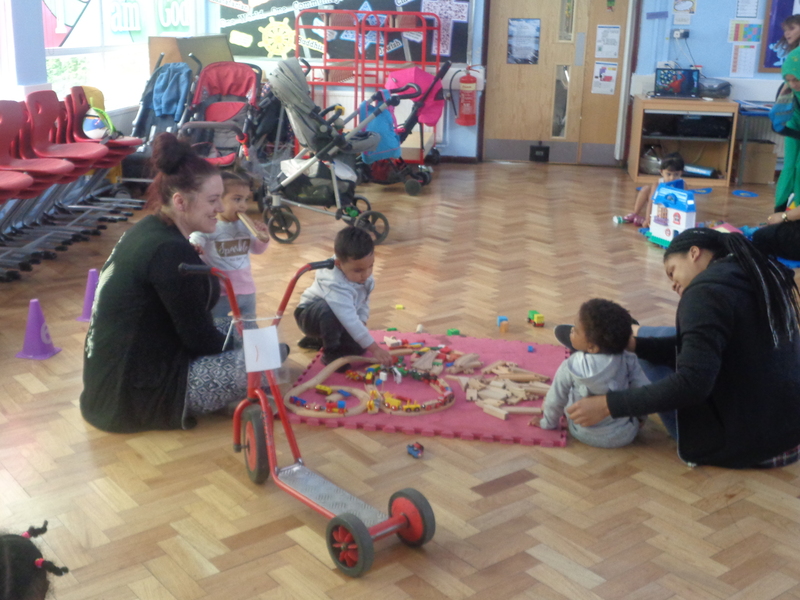 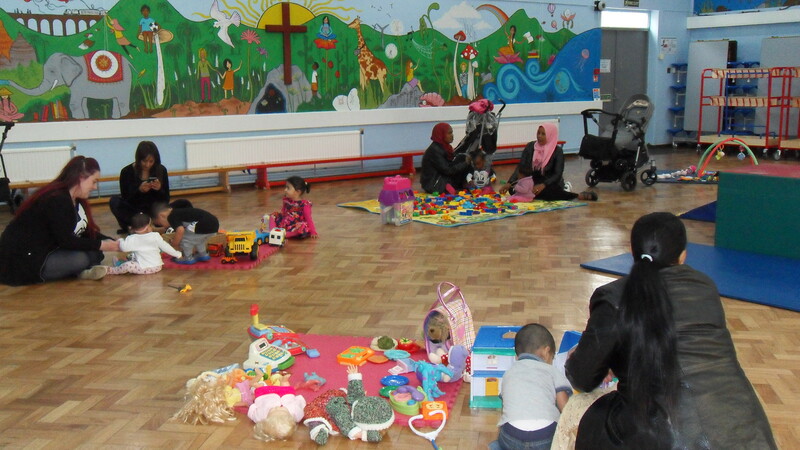 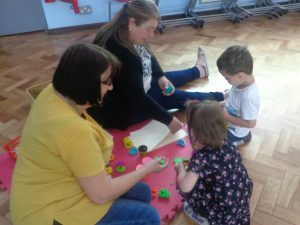 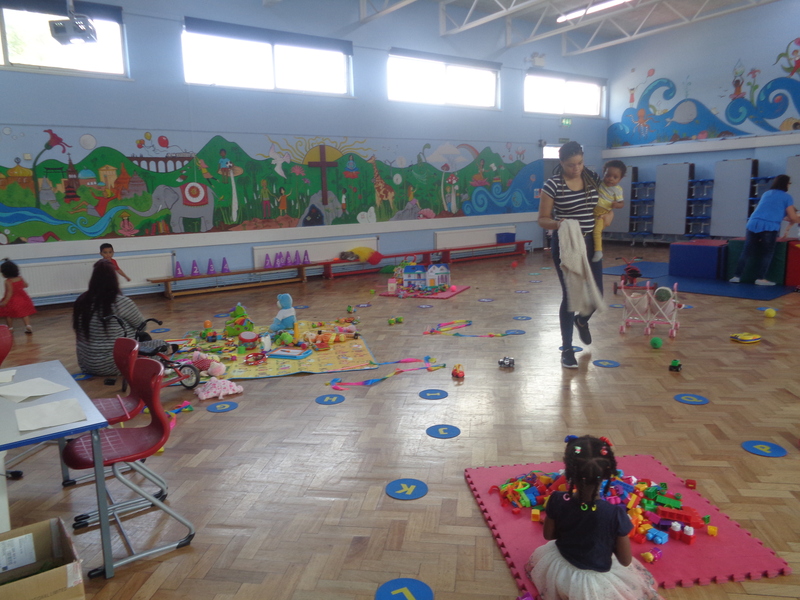 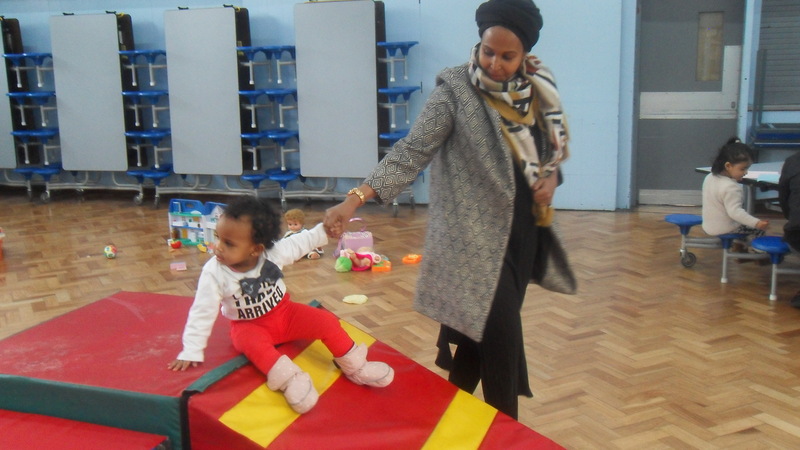 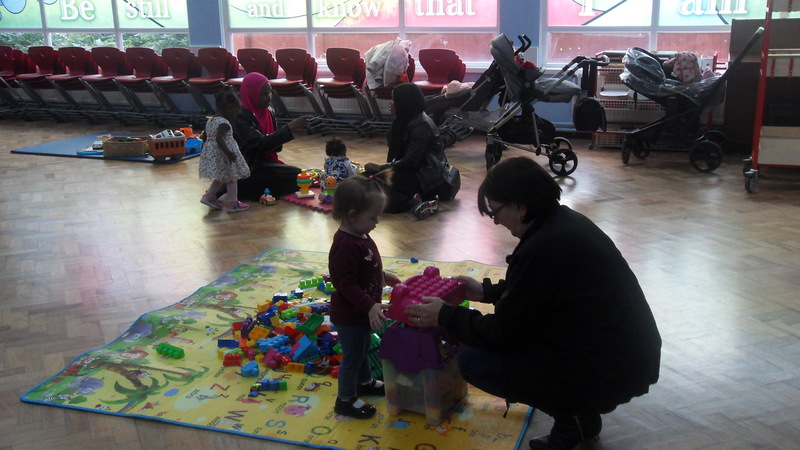 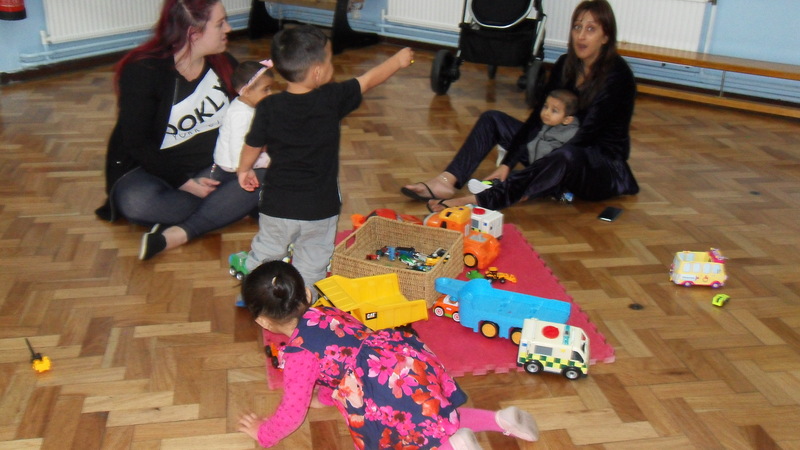 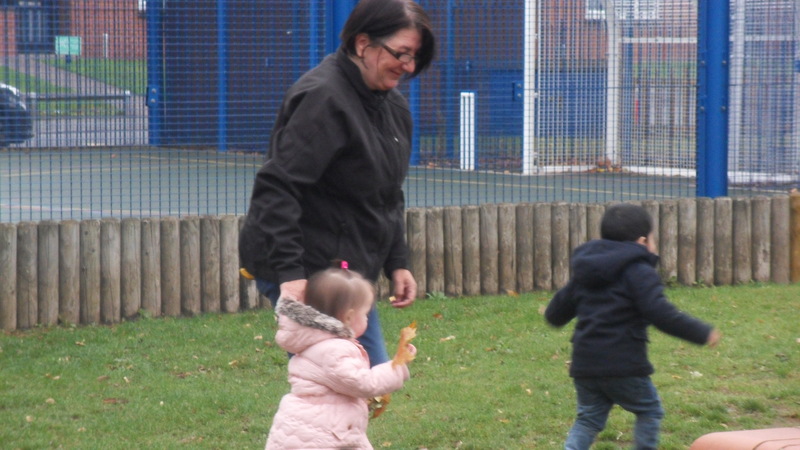 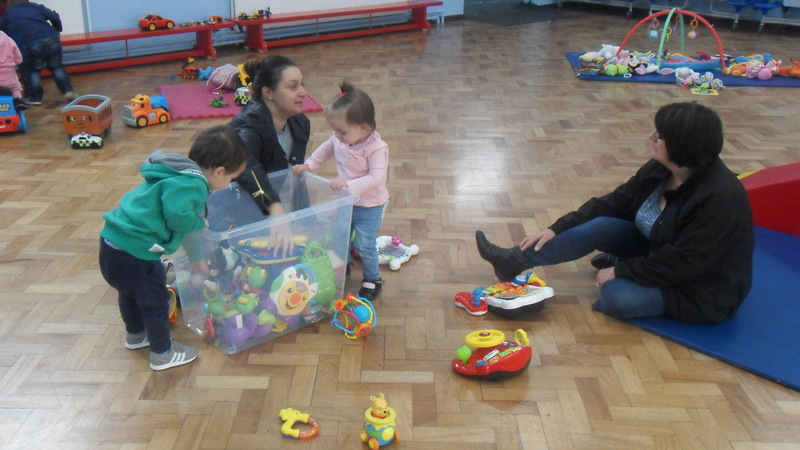 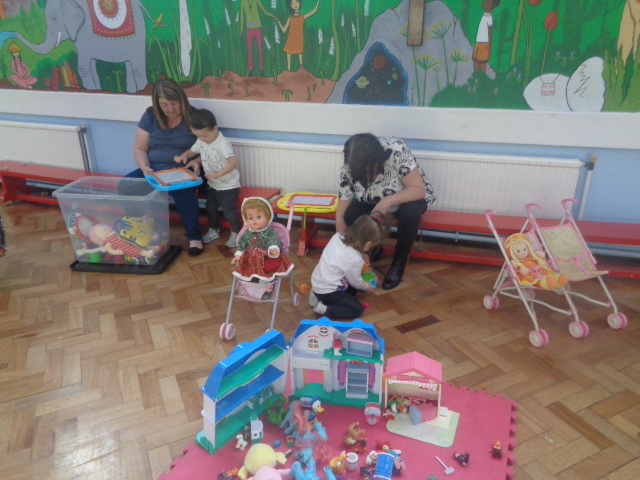 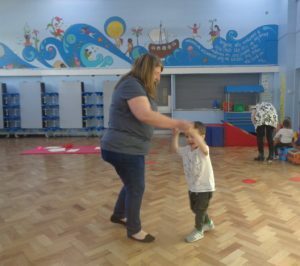 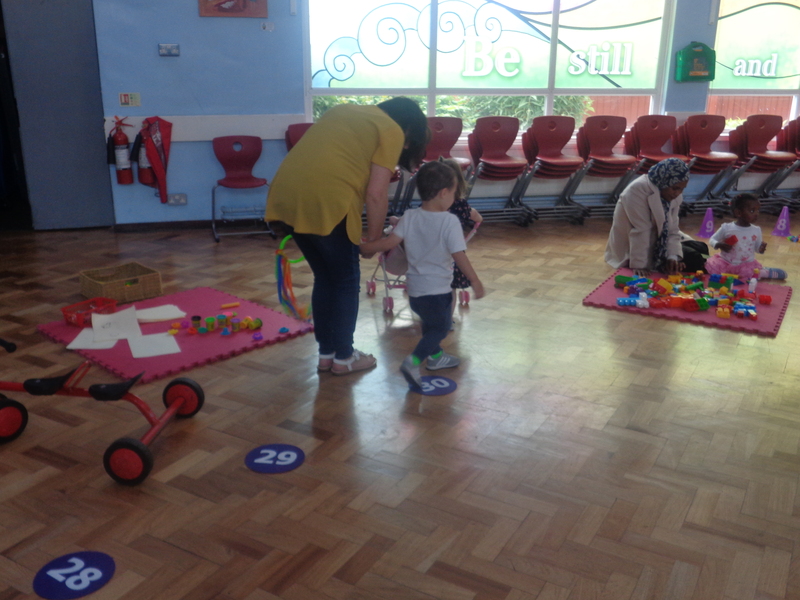 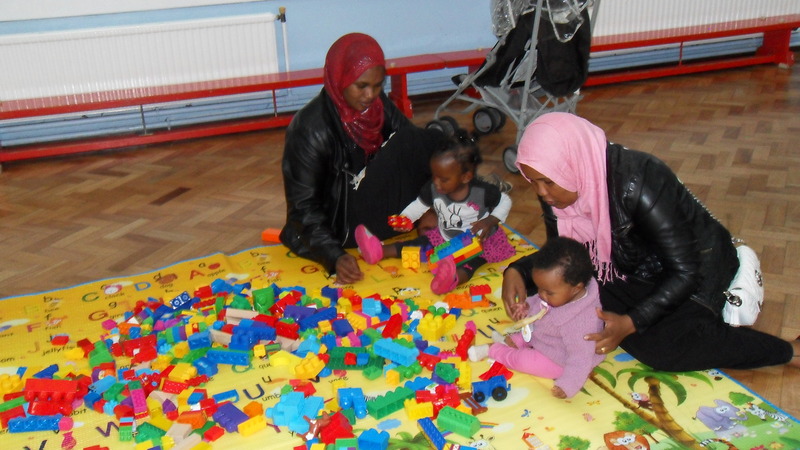 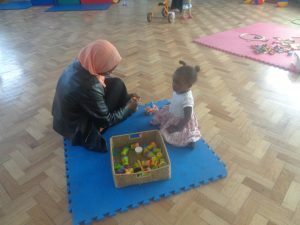 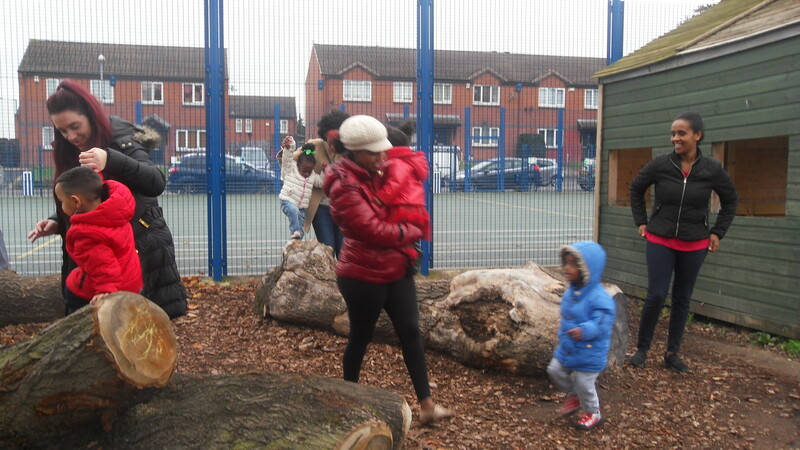 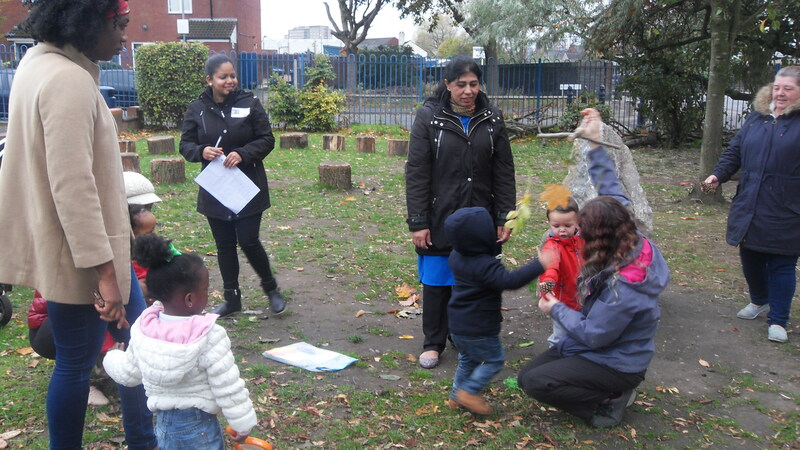 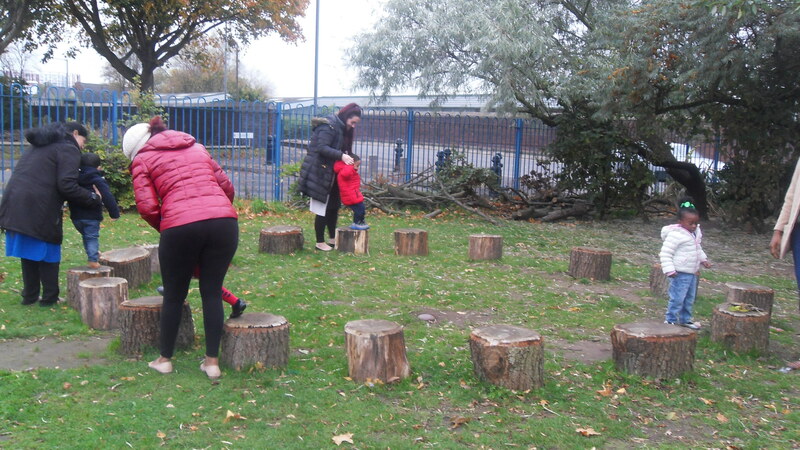 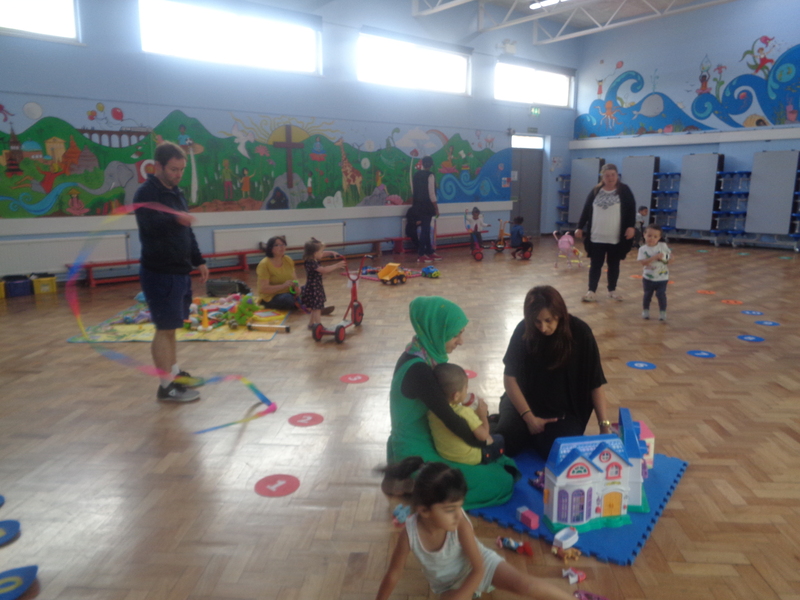 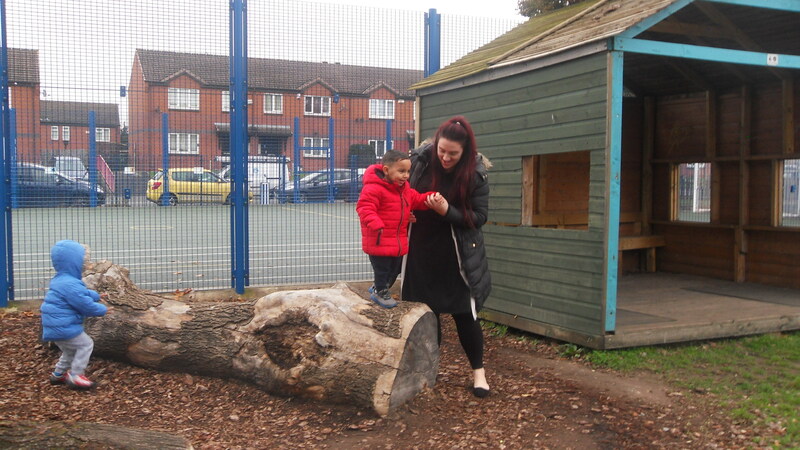 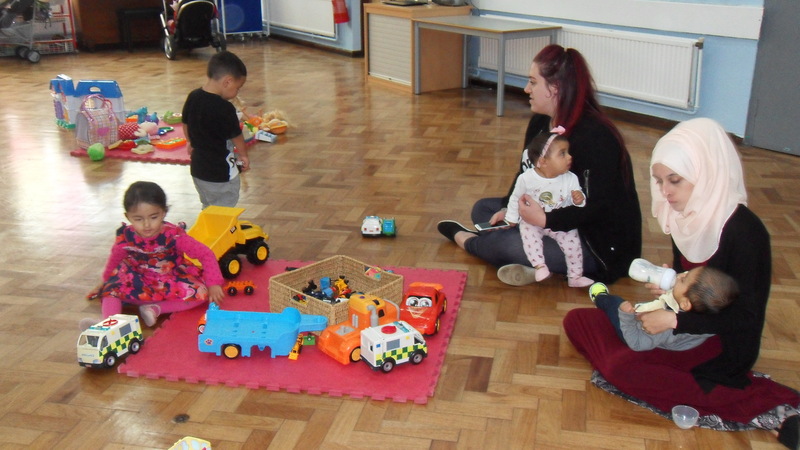 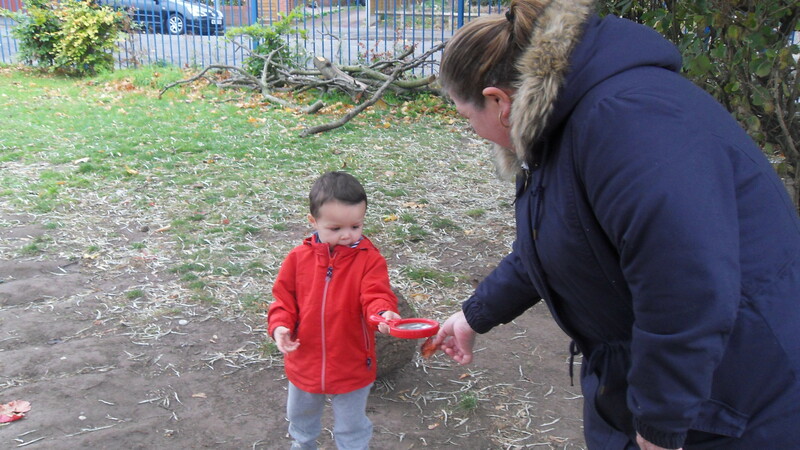 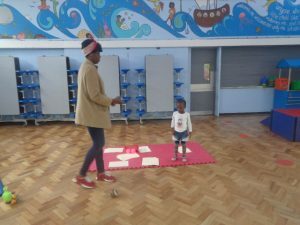 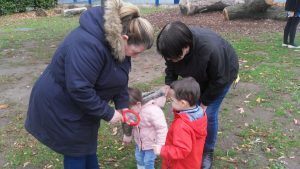 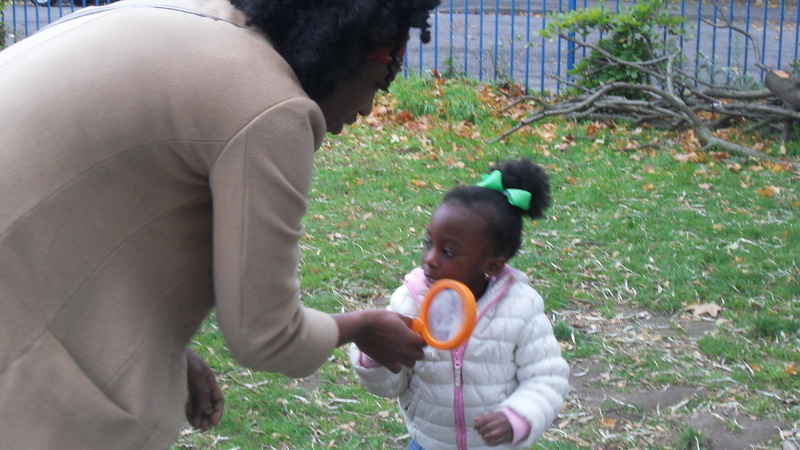 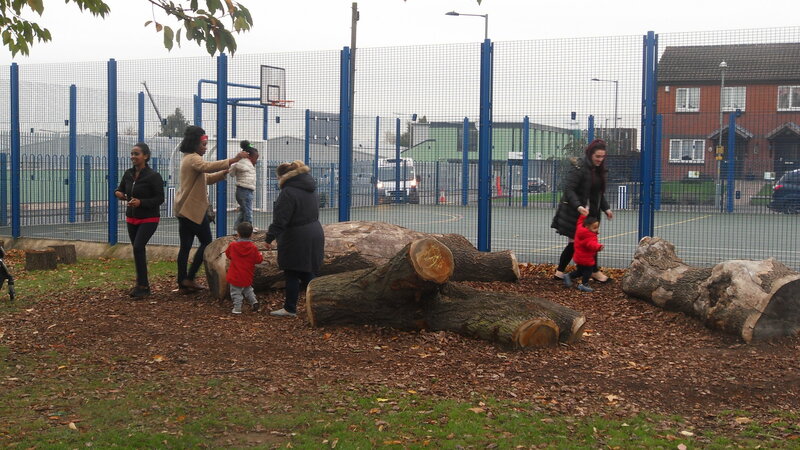 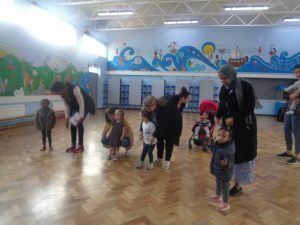 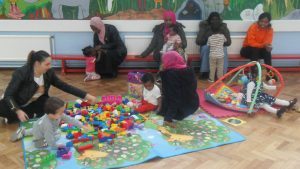 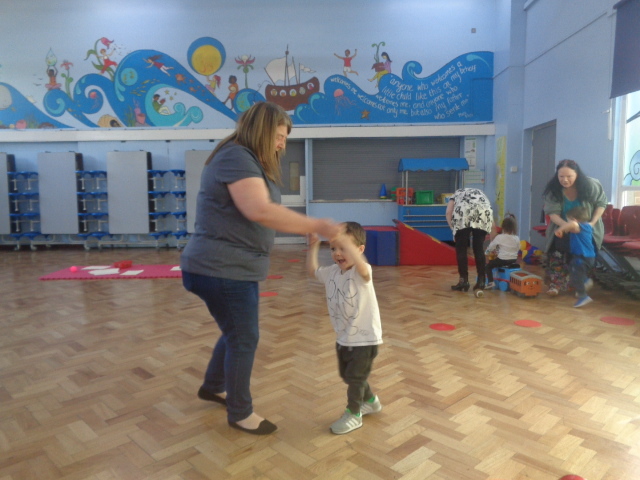 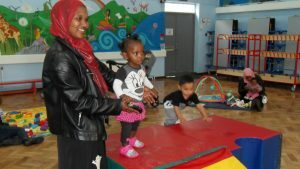 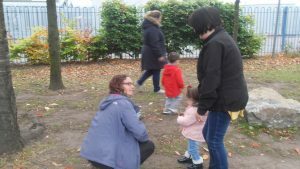 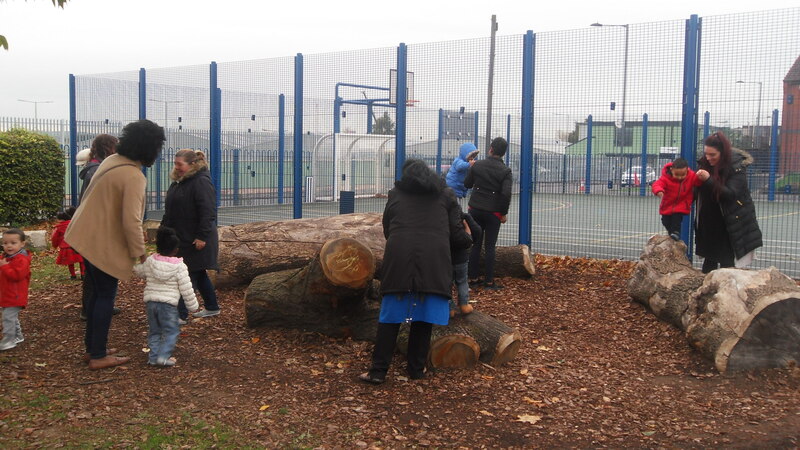 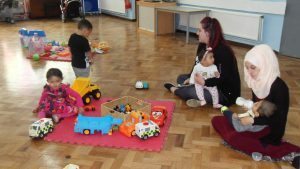 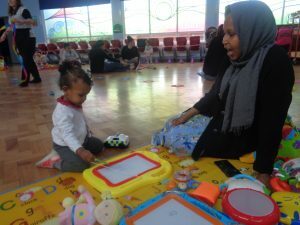 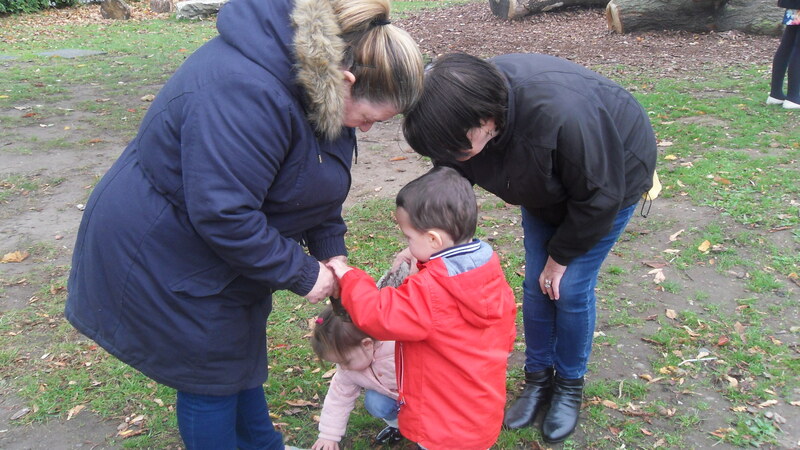 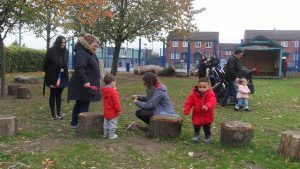 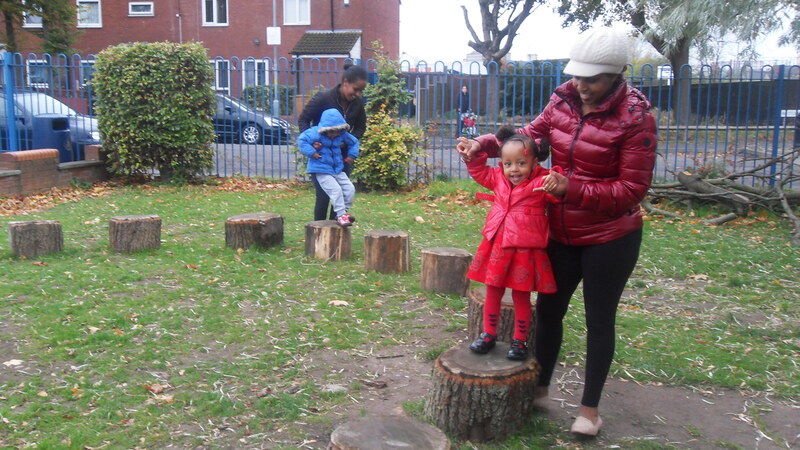 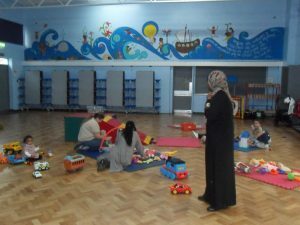 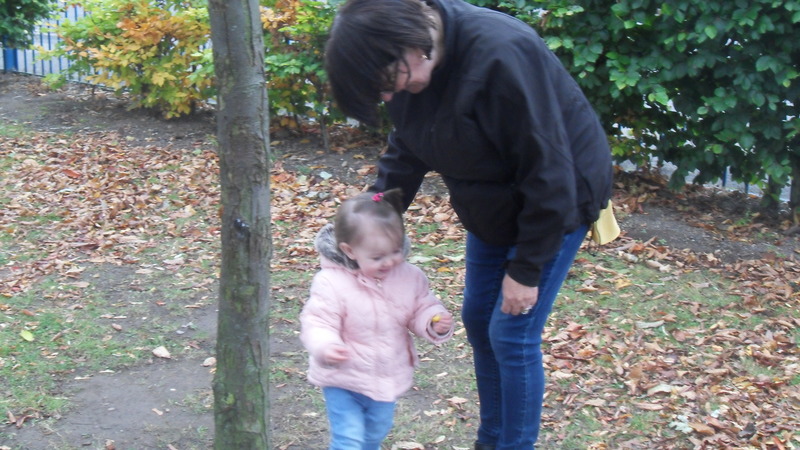 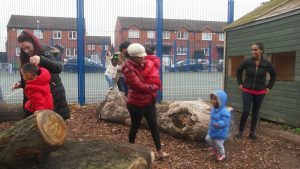 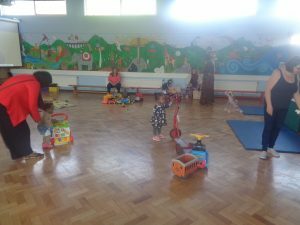 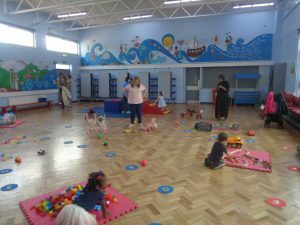 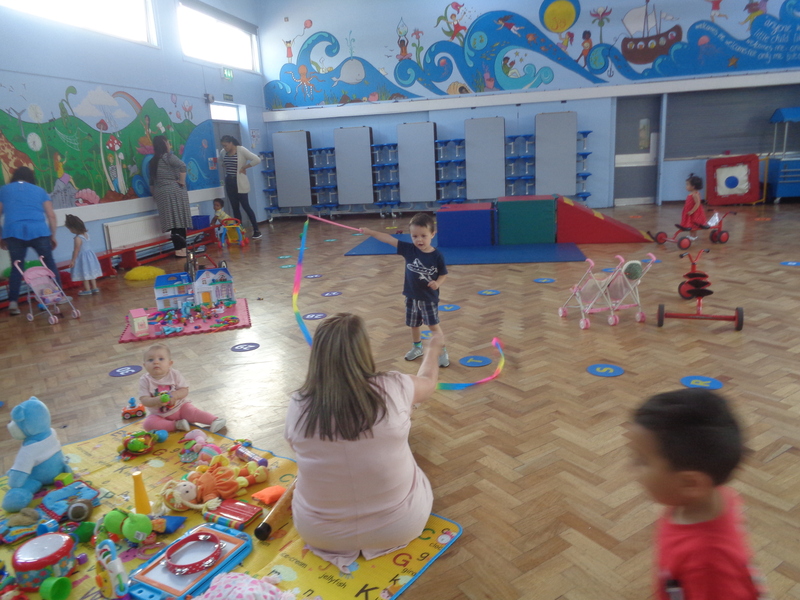 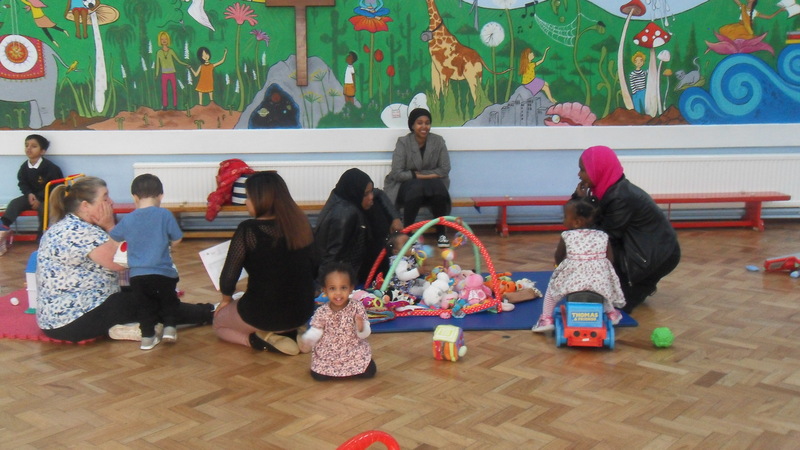 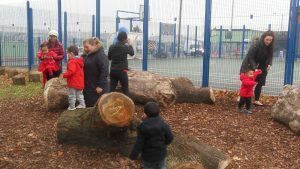 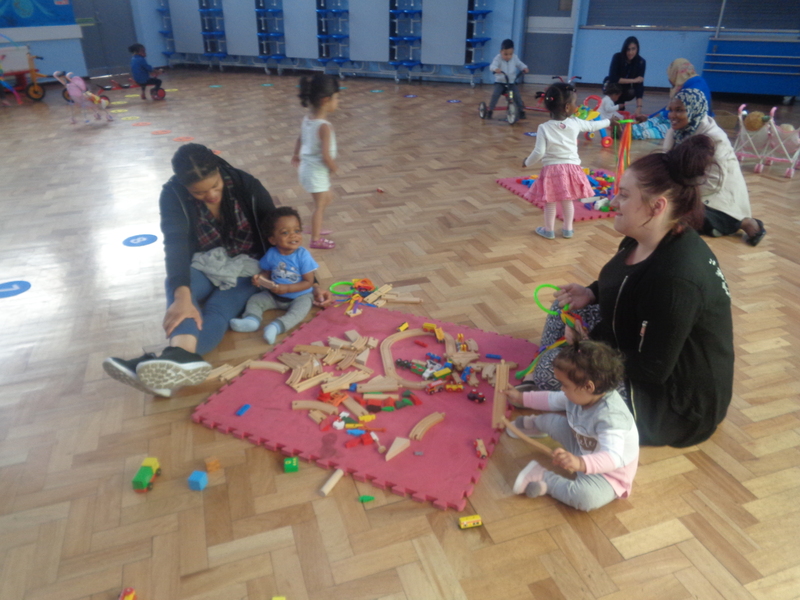 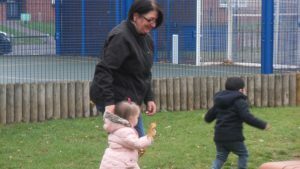 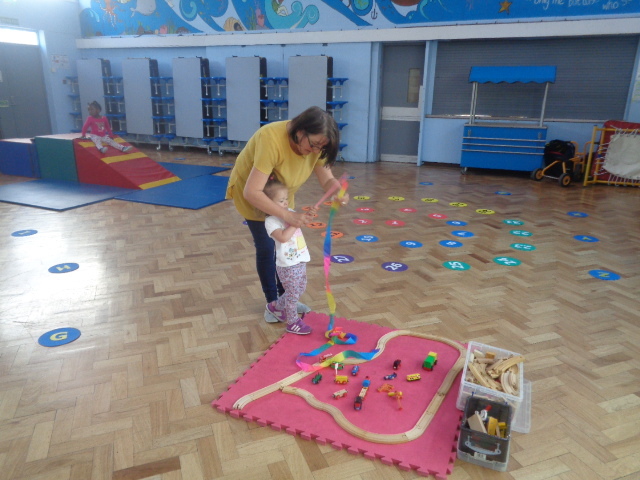 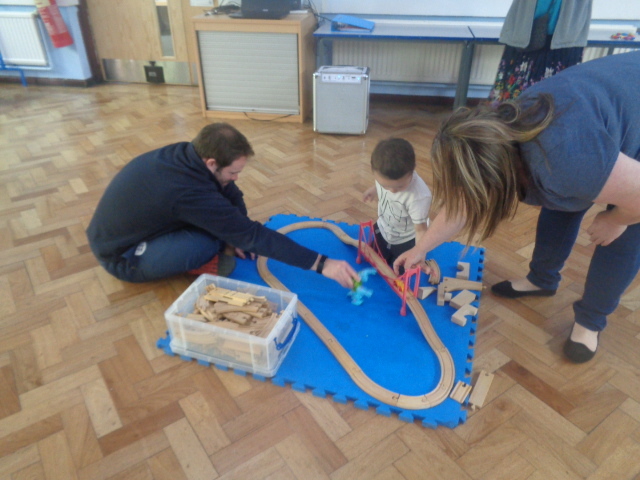 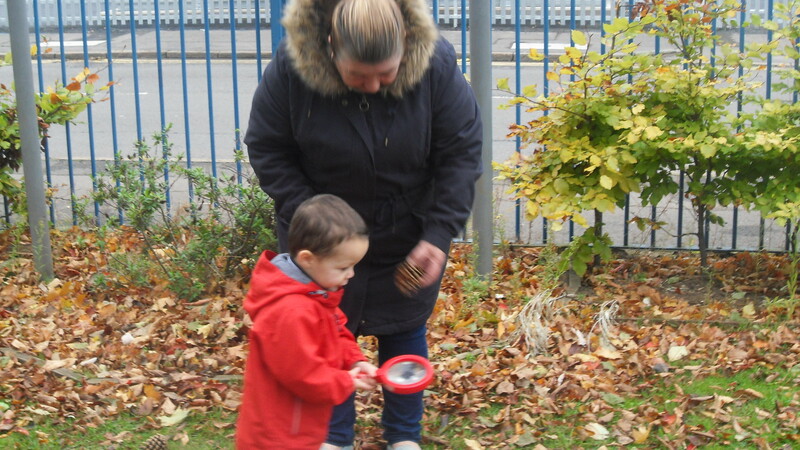 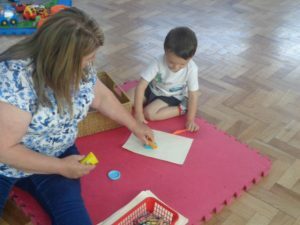 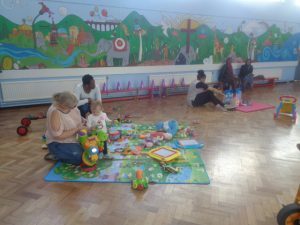 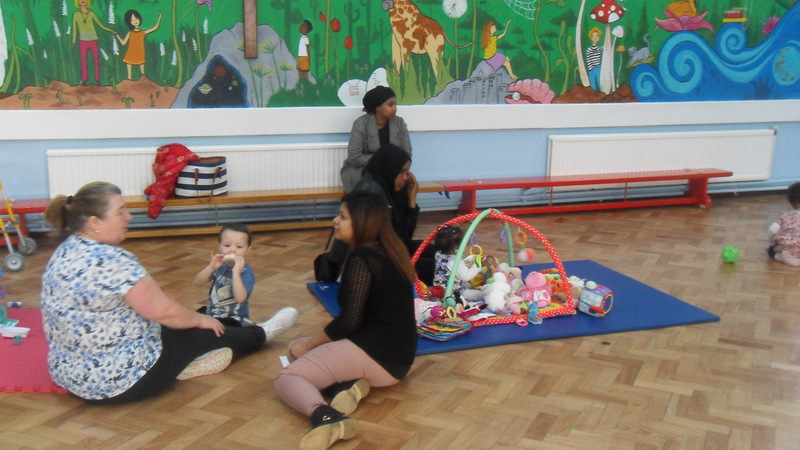 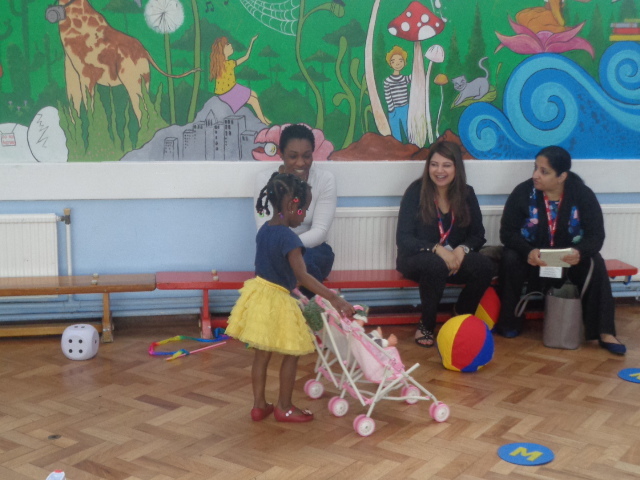 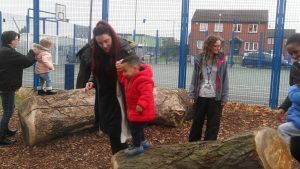 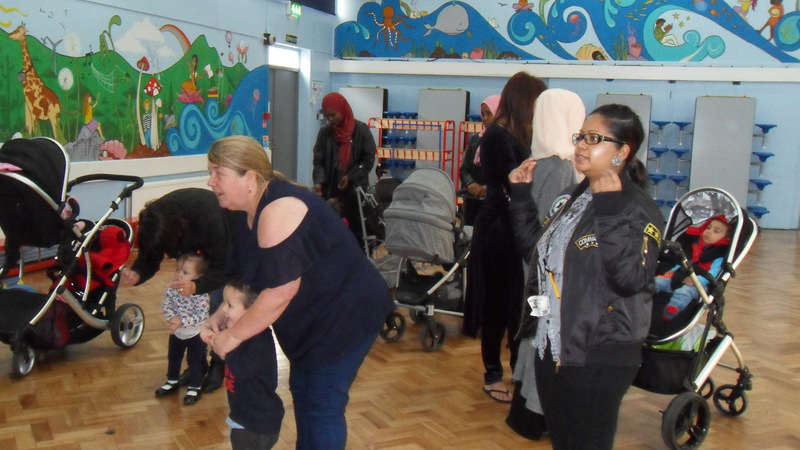 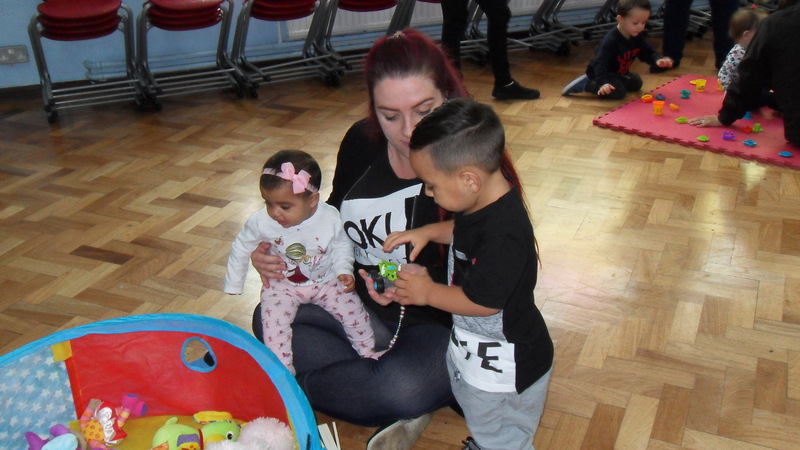 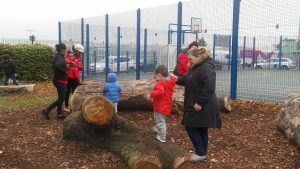 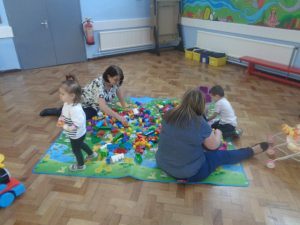 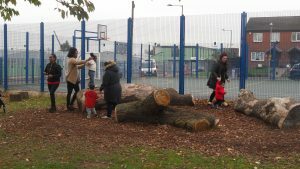 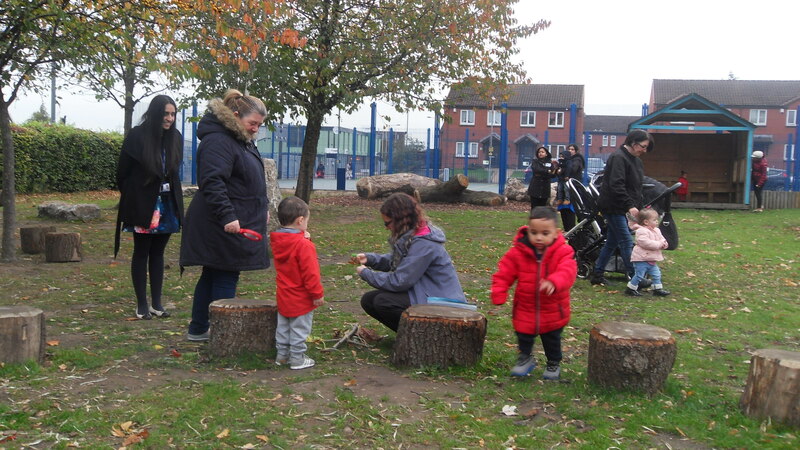 The child are having an amazing time exploring, learning and playing with their friends, whilst parents enjoy spending time with their little ones and chatting with other parents. It is a weekly session that is not to be missed. 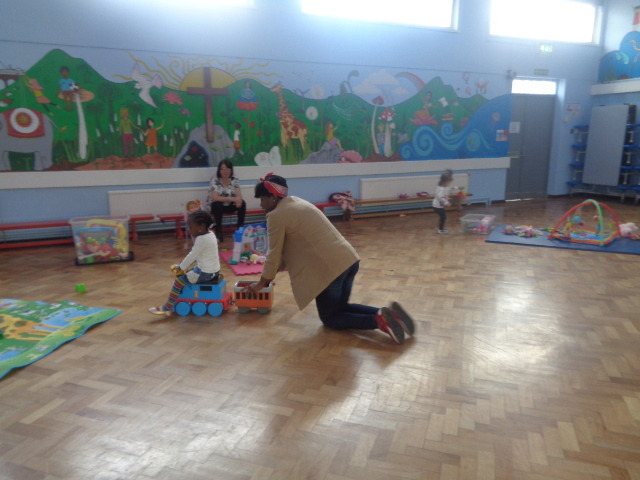 Another great session at St. Clement’s Stay and Play. 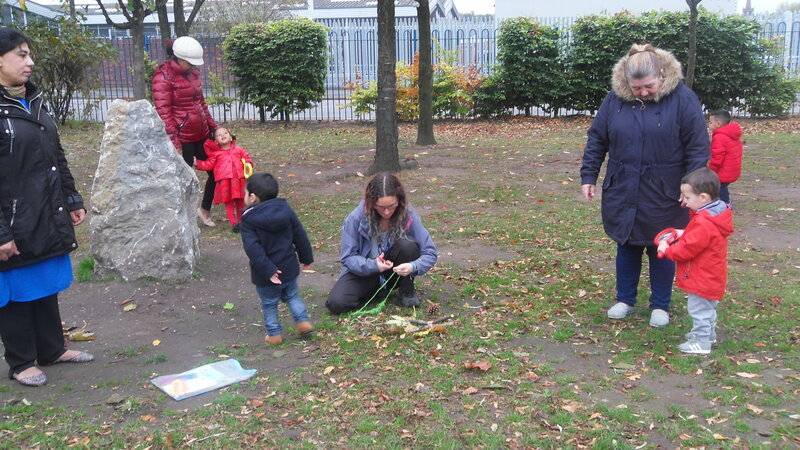 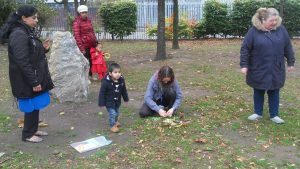 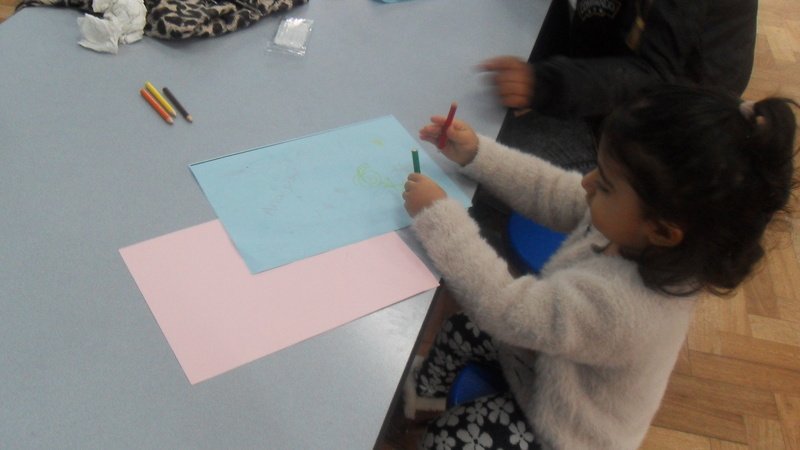 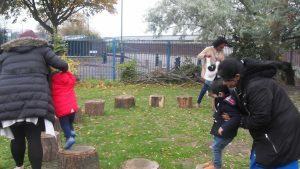 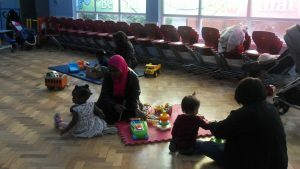 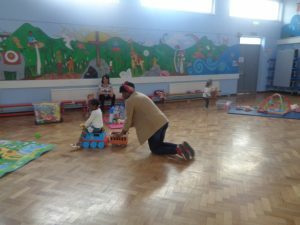 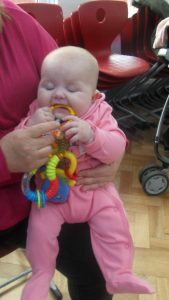 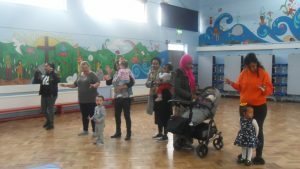 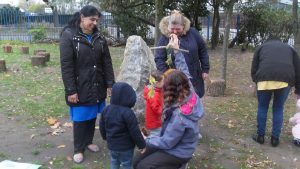 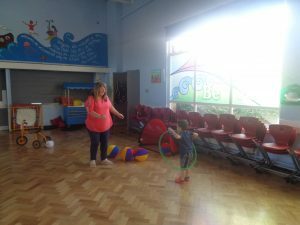 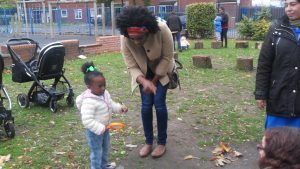 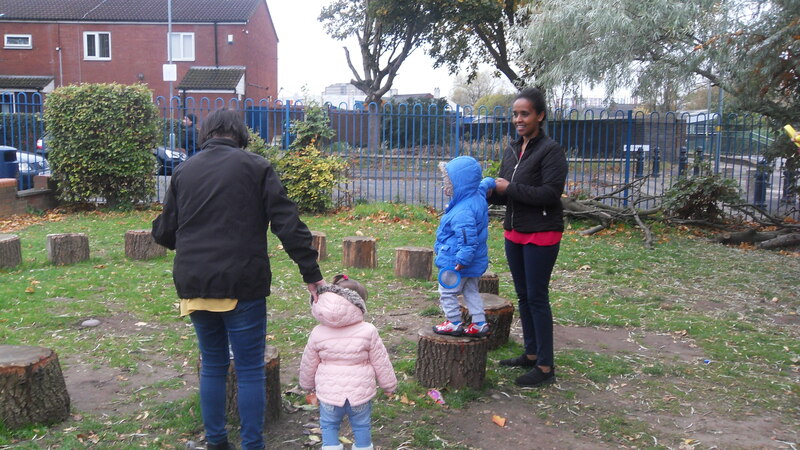 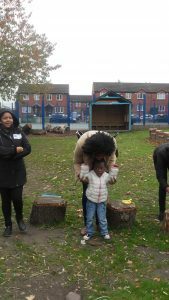 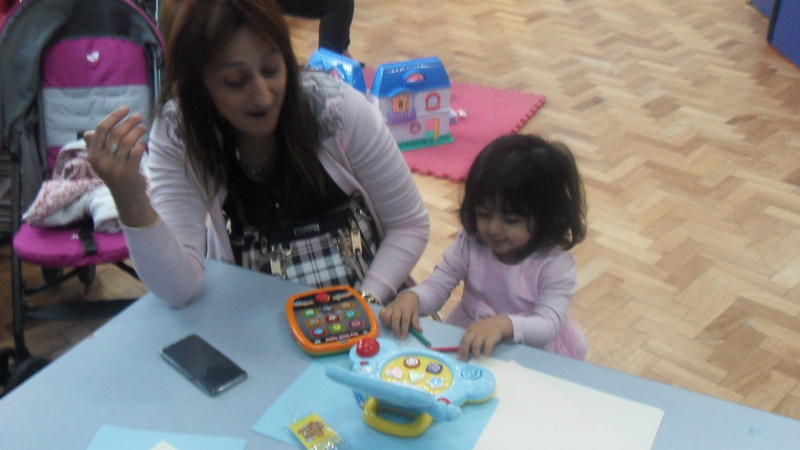 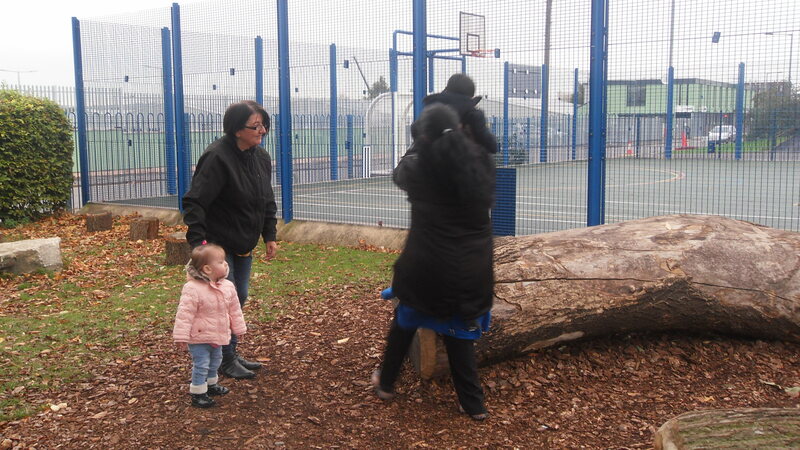 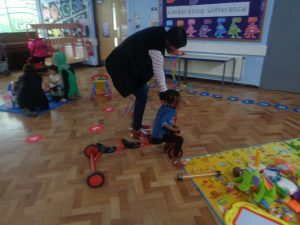 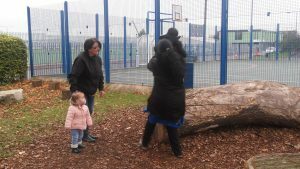 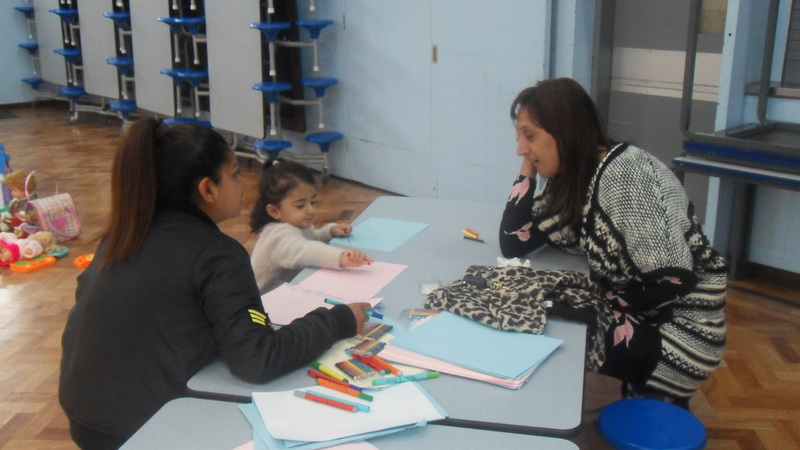 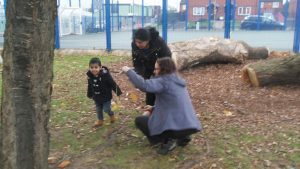 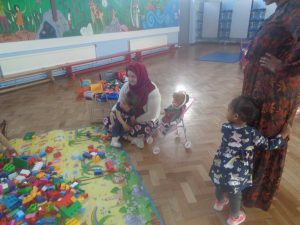 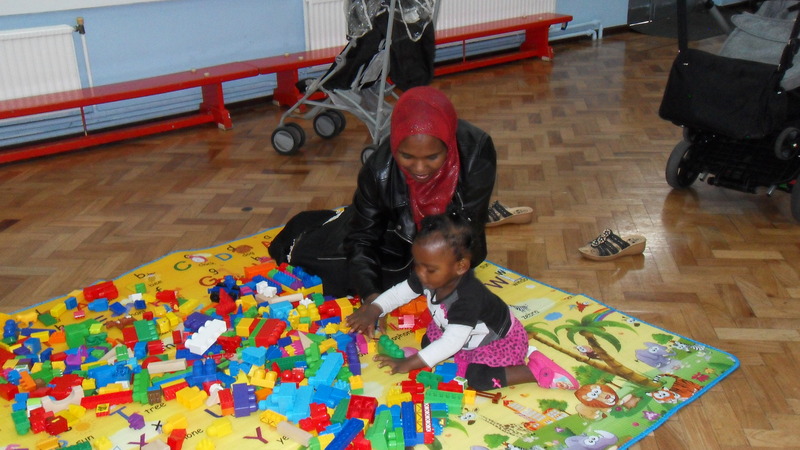 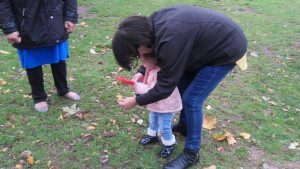 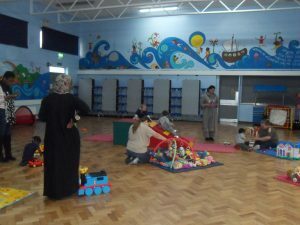 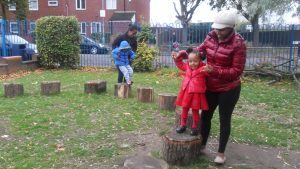 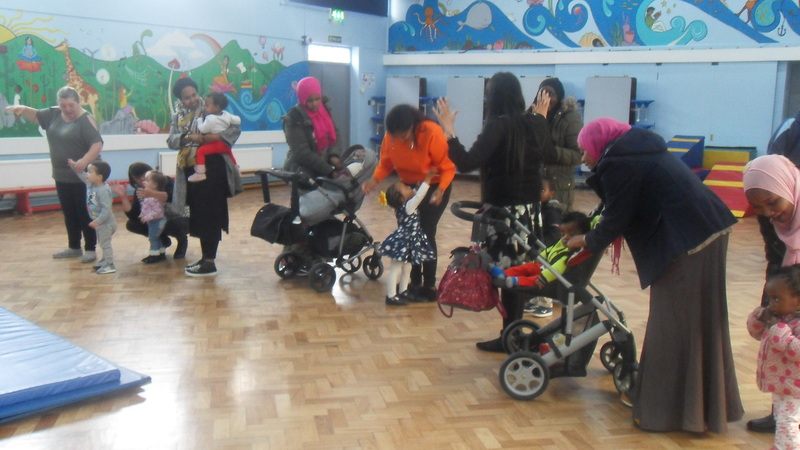 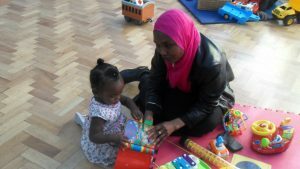 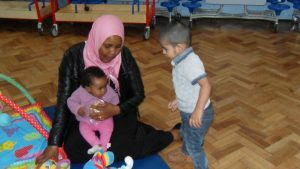 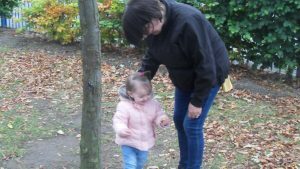 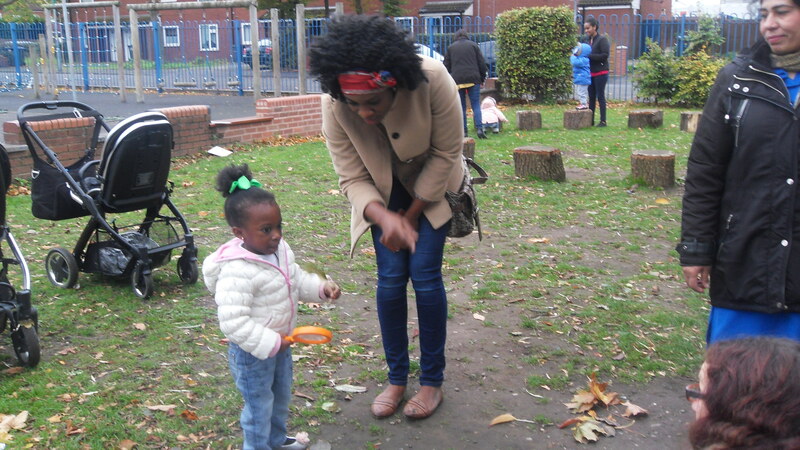 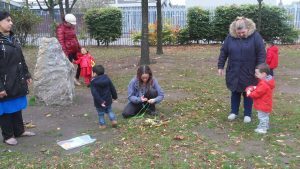 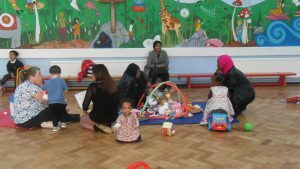 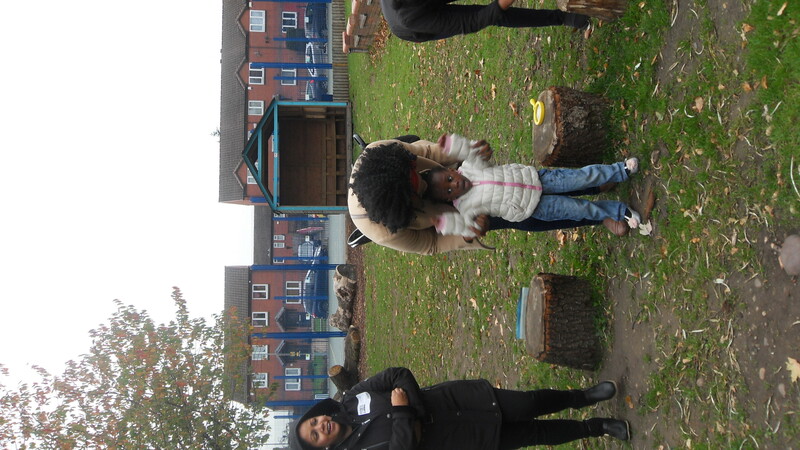 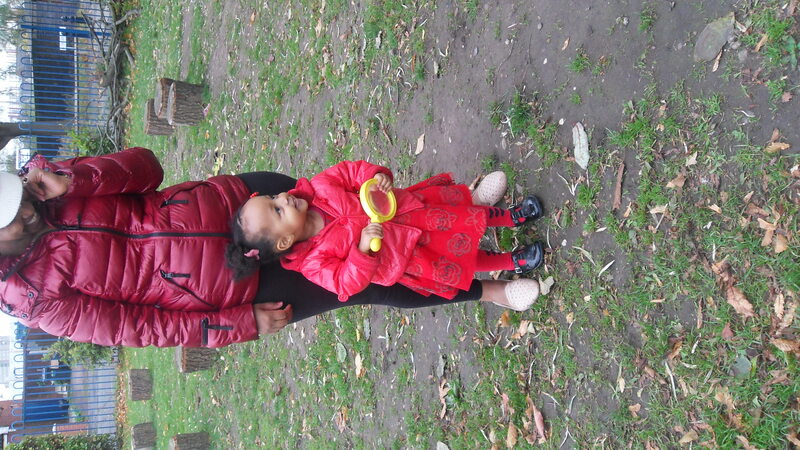 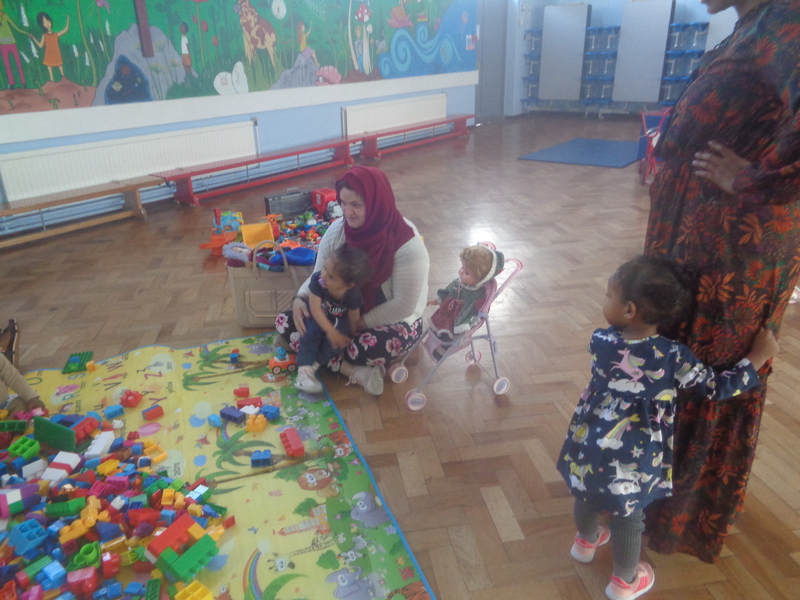 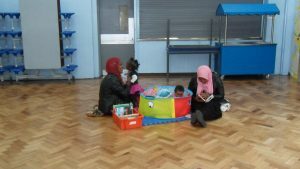 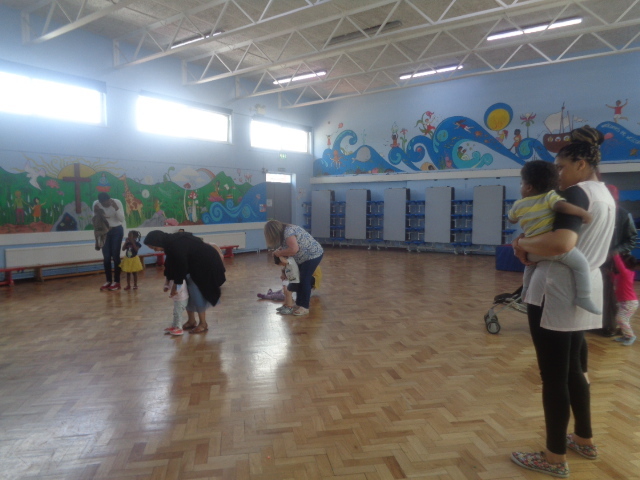 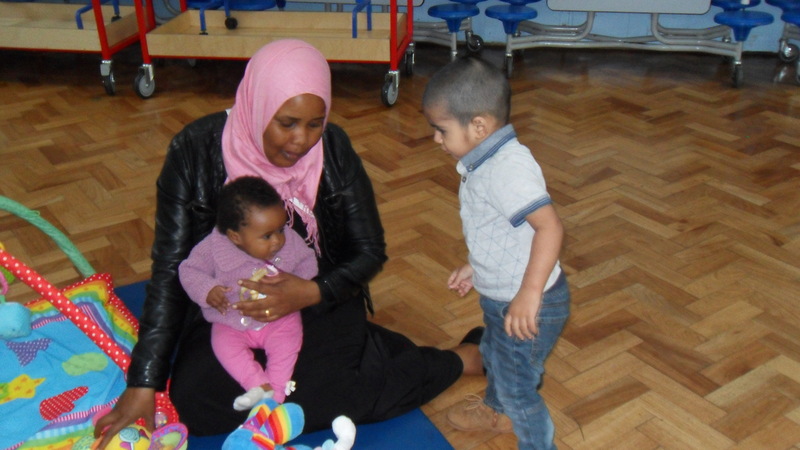 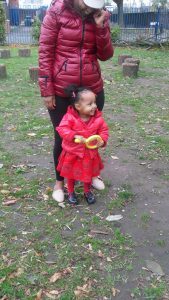 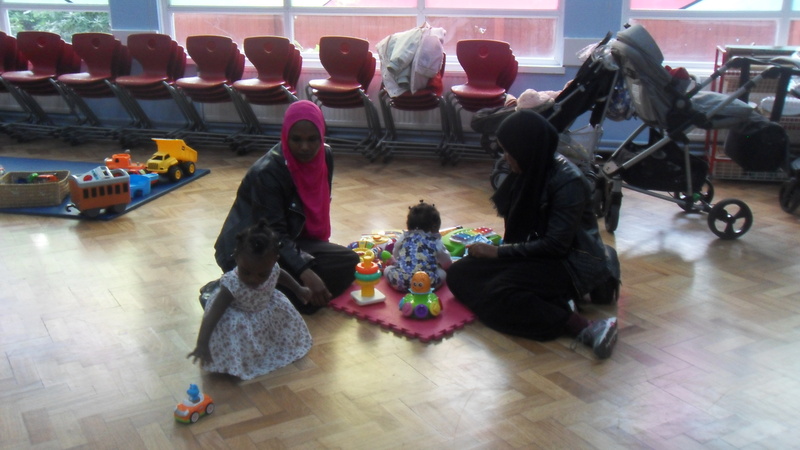 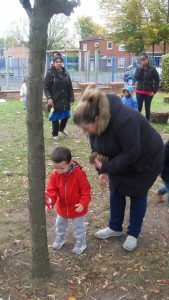 This week we had new families come along and join in the fun. 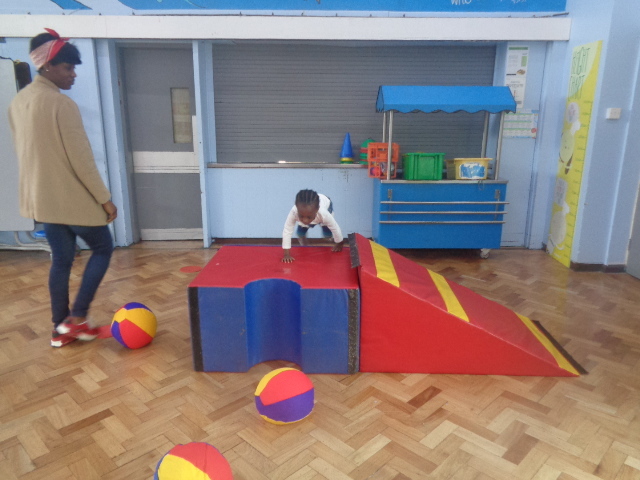 The children enjoyed using the soft play area and playing with construction toys. 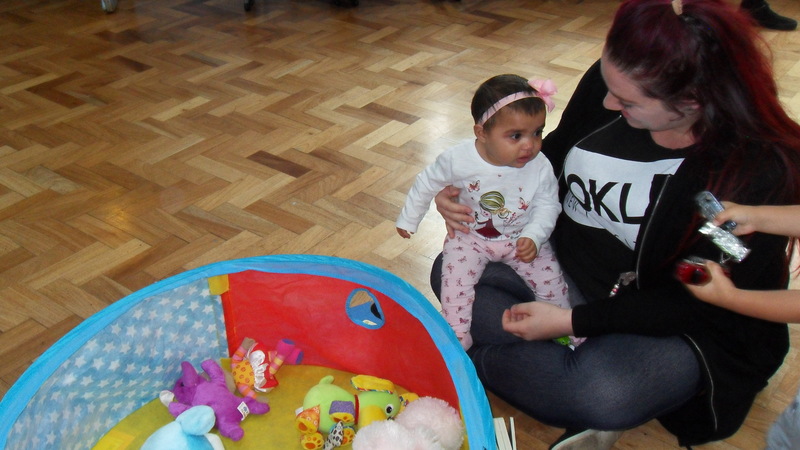 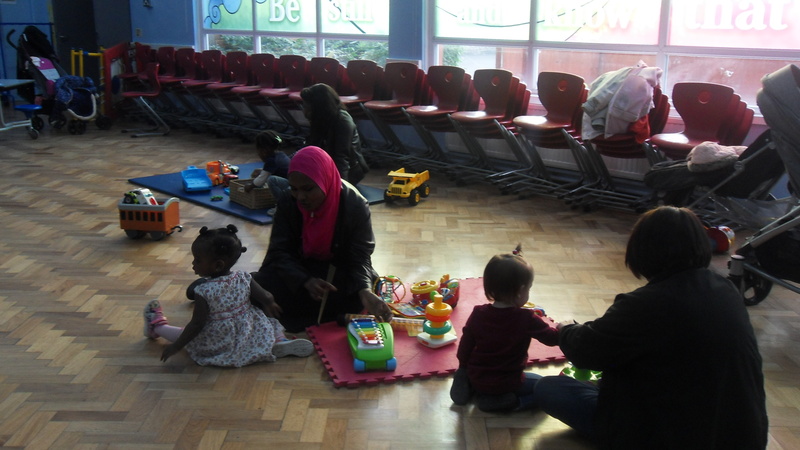 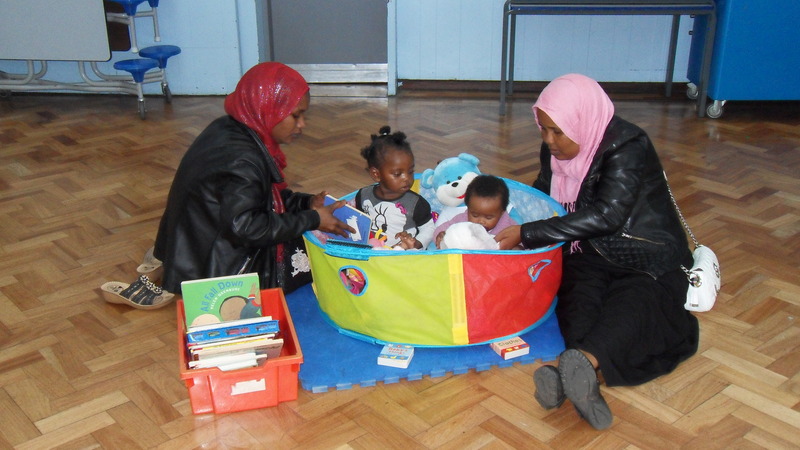 The babies too had a fabulous time in the ‘Teddy Reading Pit’ – sharing stories with their parents and friends.